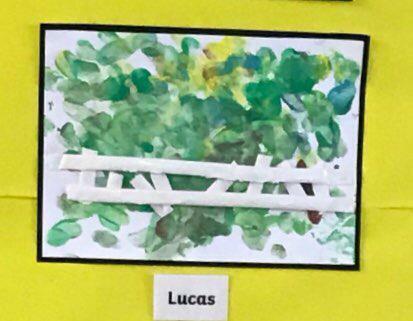 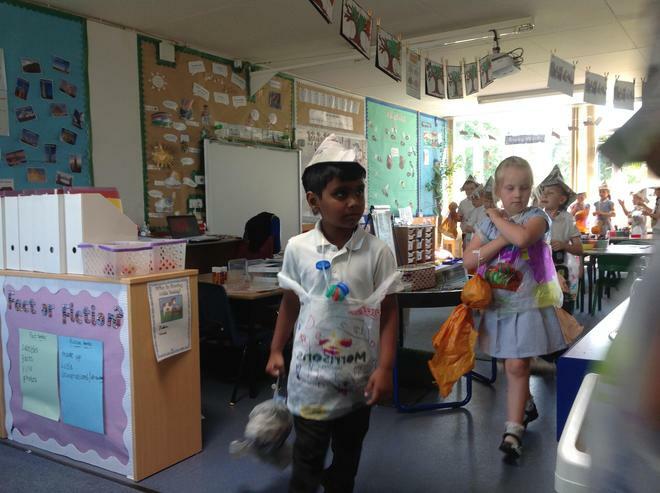 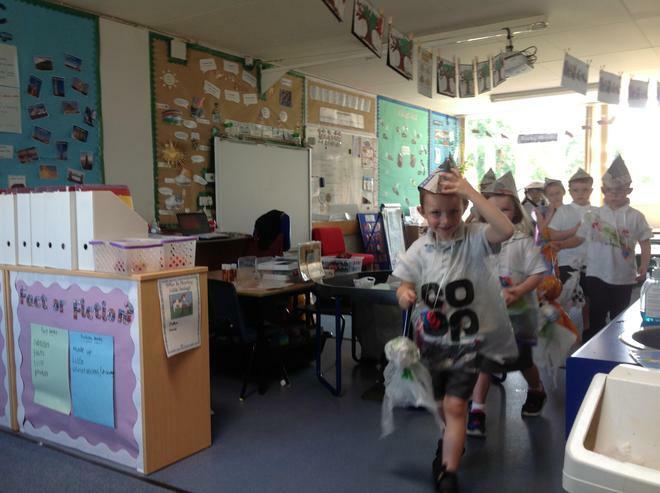 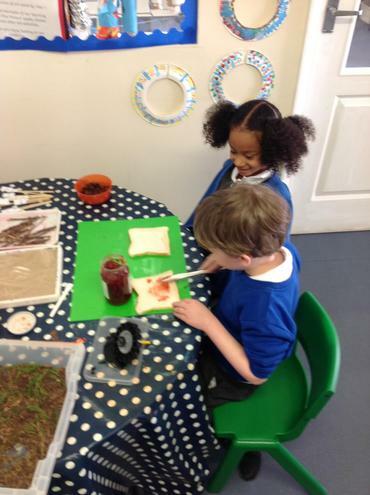 We hope you enjoy exploring our fantastic learning in Year 1! 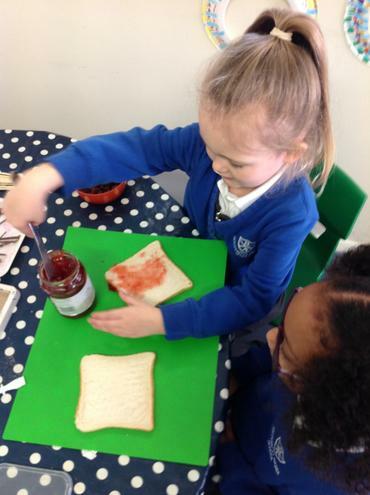 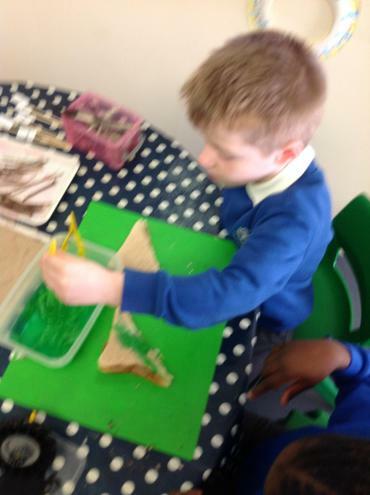 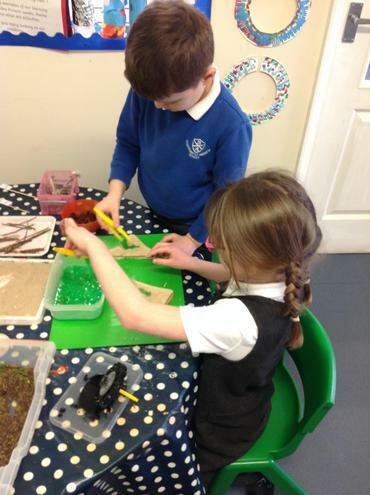 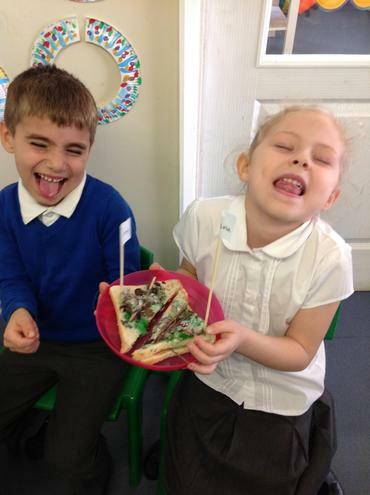 Year 1 have been exploring the story The Disgusting Sandwich. 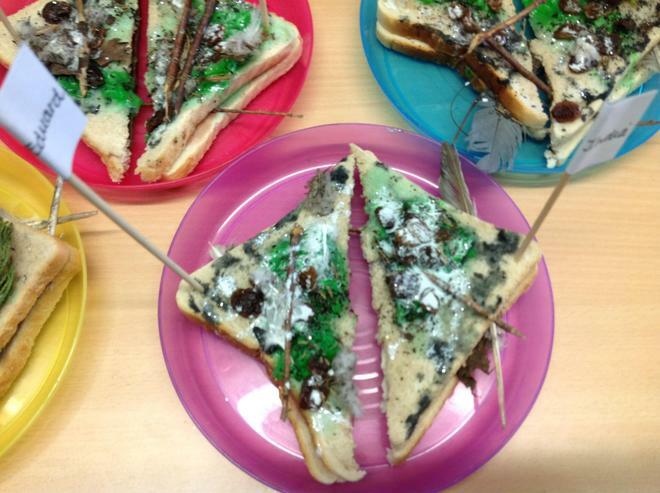 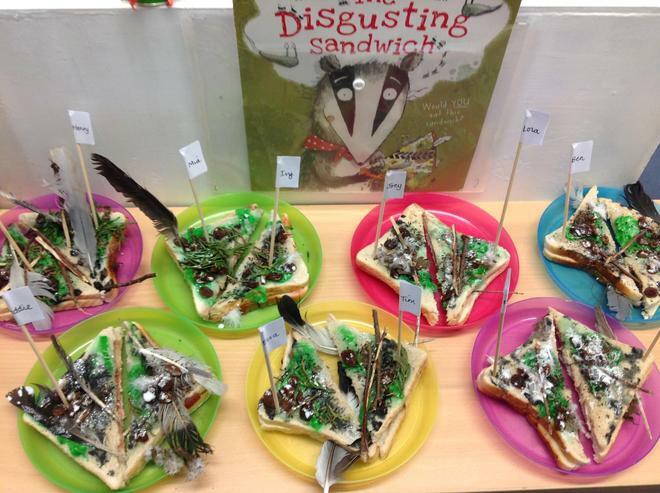 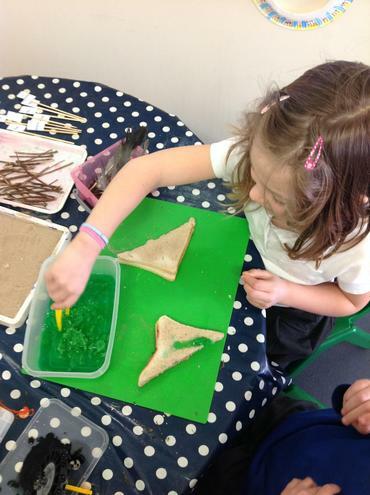 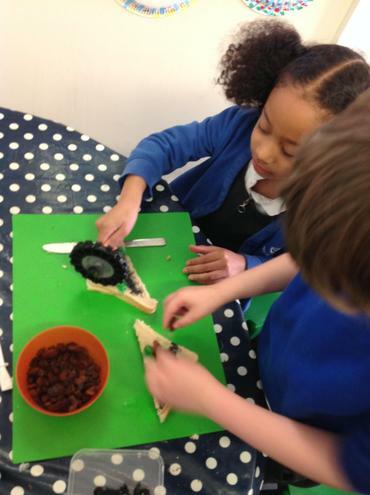 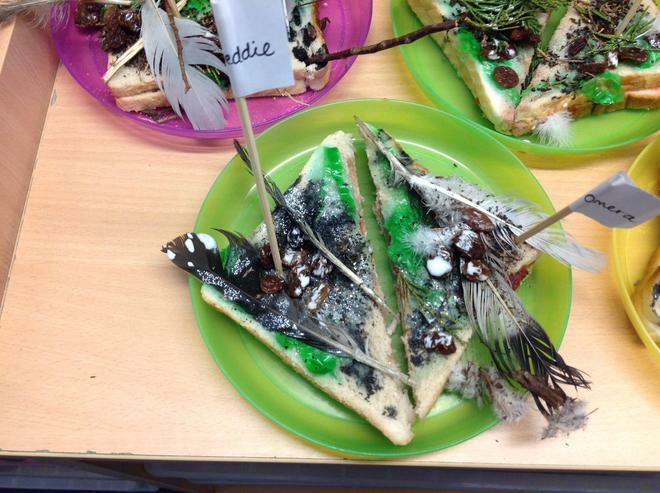 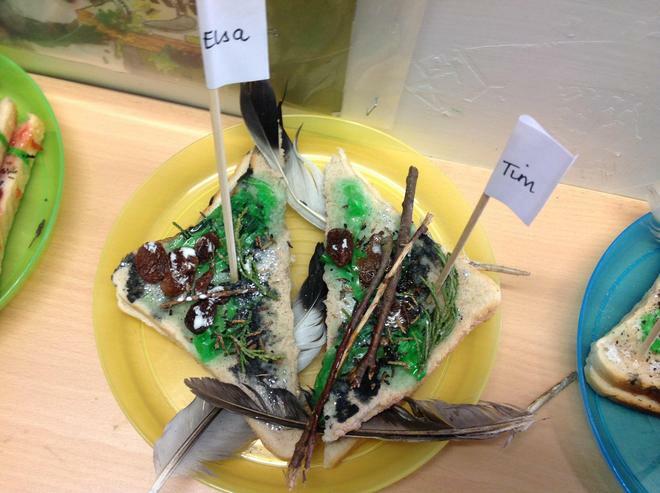 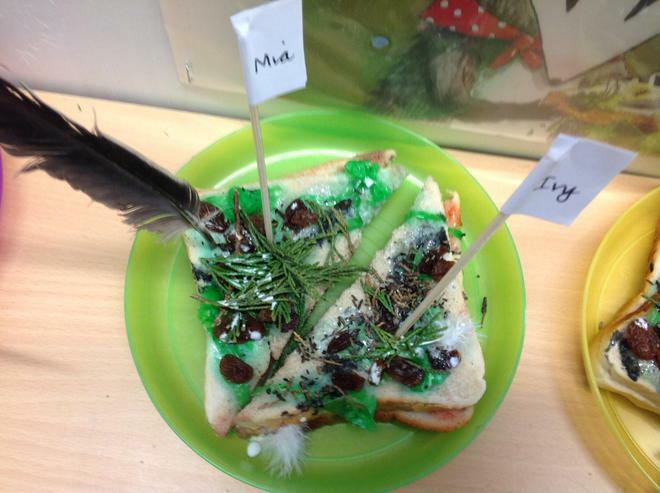 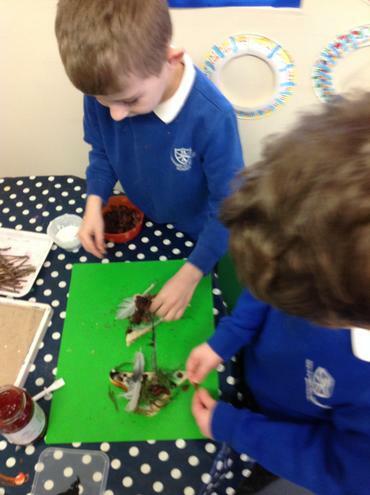 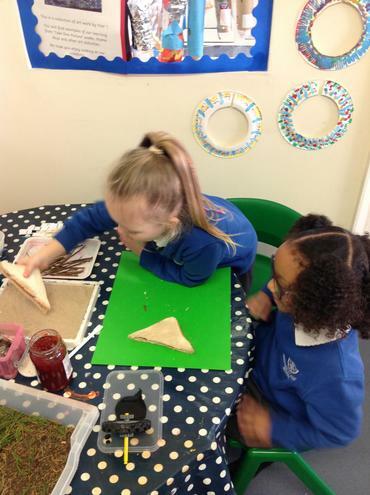 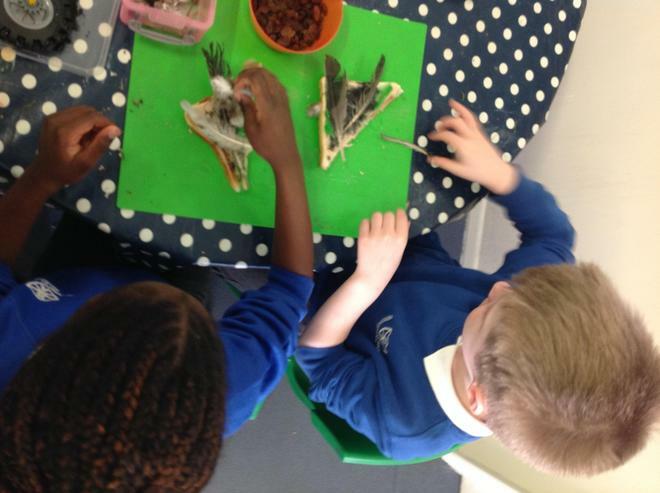 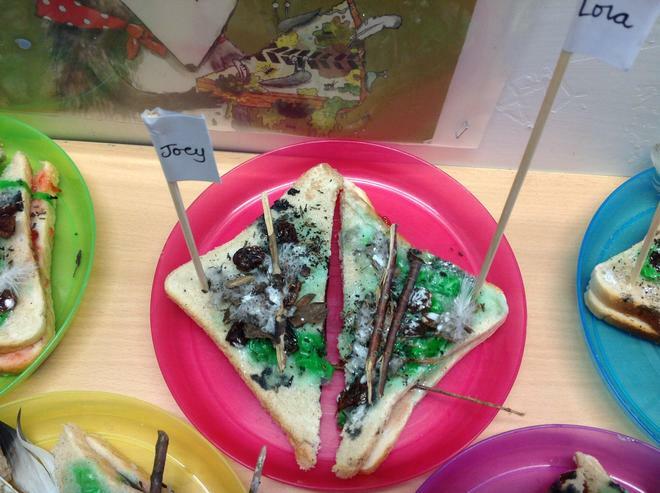 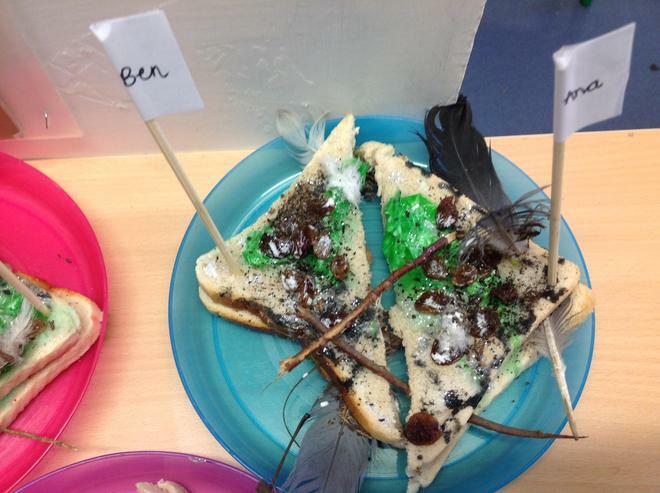 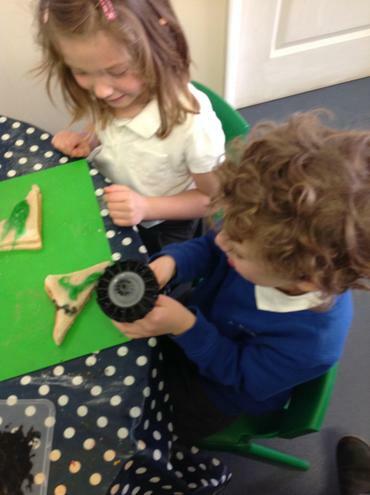 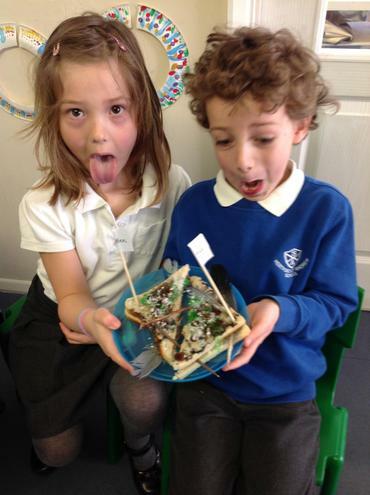 We have made our very own disgusting sandwiches using ingredients from the story. 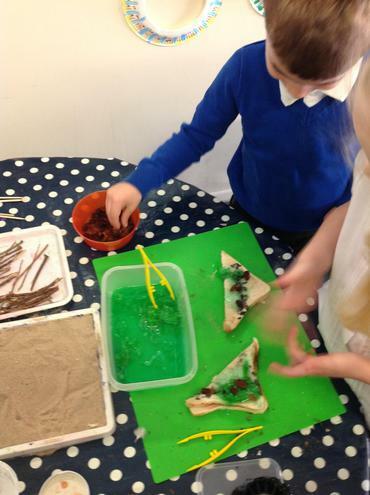 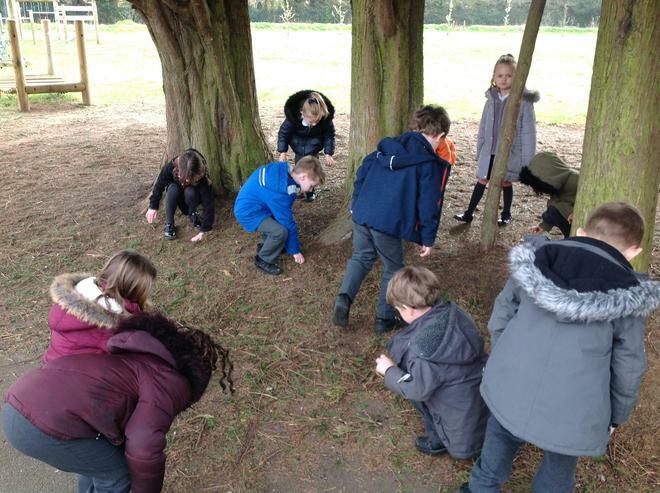 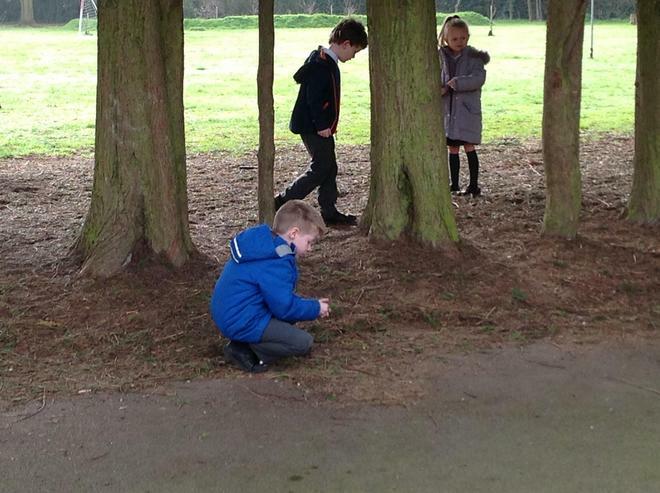 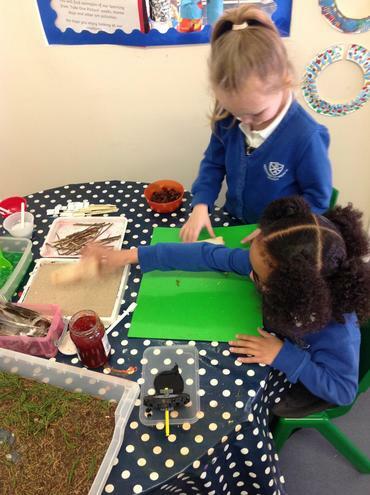 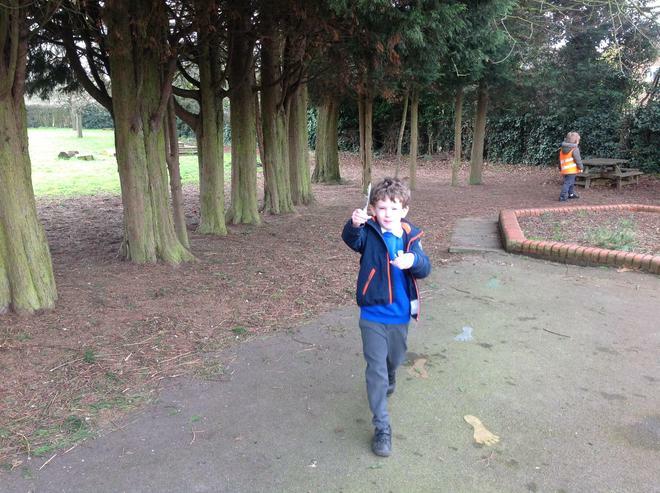 We found lots of the ingredients on the playground and created our own pondweed and slug slime! 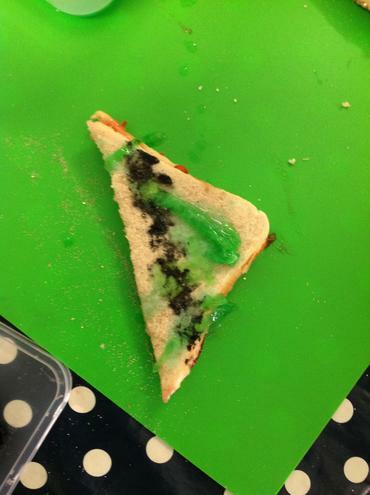 Have a look and see if you would try our disgusting sandwiches! 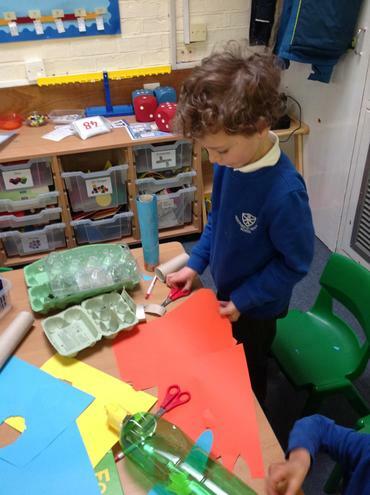 Later in the week we will be creating instructions for how to make one. 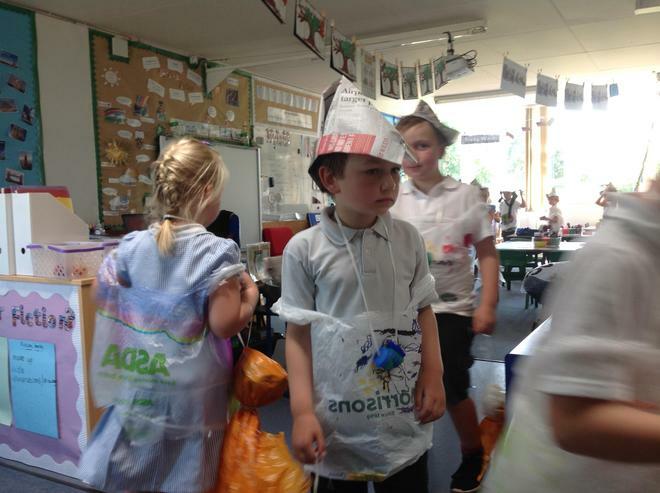 What a fun Science Week! 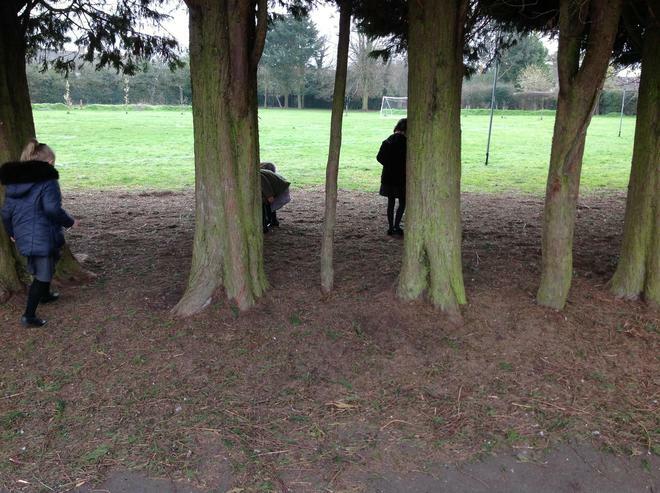 We read a story called 'Back to Earth With a Bump' which we had lots of fun exploring. 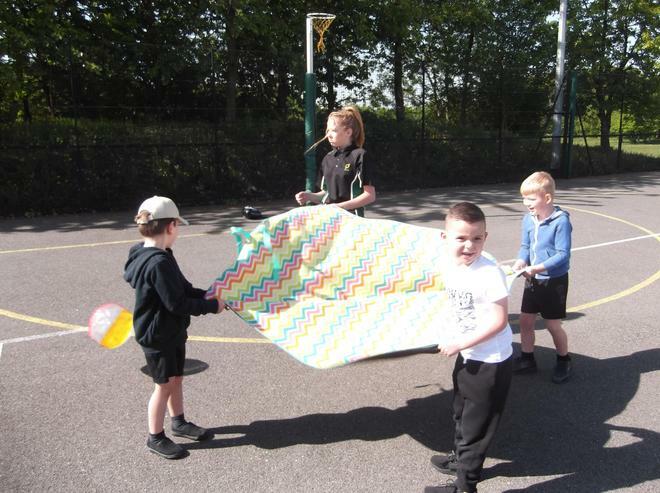 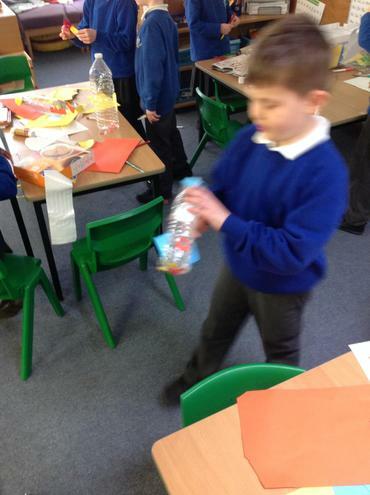 We planned the items we would take to Space with us and had a brilliant time making rockets for Miss Raw's competition! 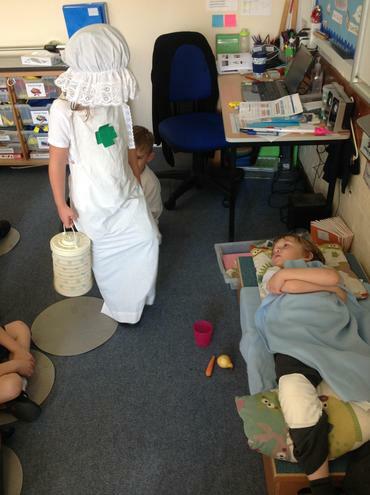 We were very lucky to have a drama workshop with Perform. 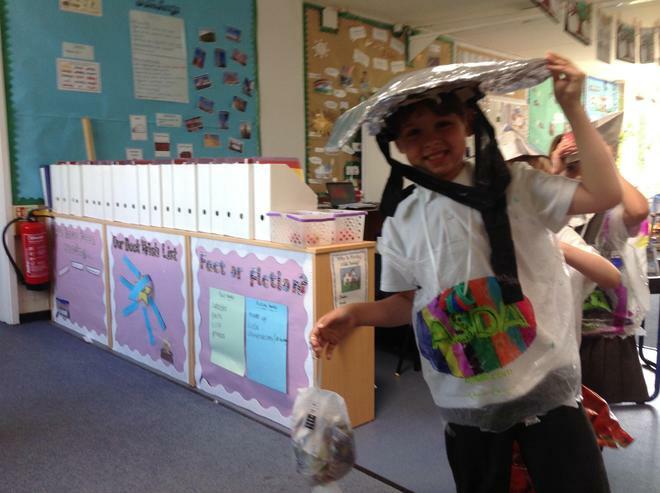 We had such fun pretending to be superheroes and helping out on a secret mission!! 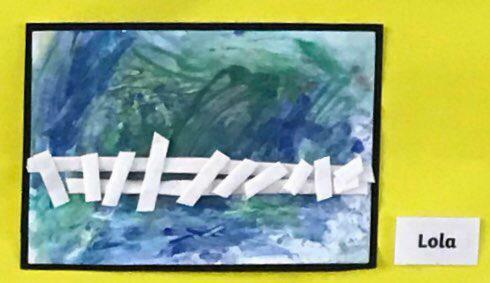 Today our Jigsaw unit was about overcoming obstacles. 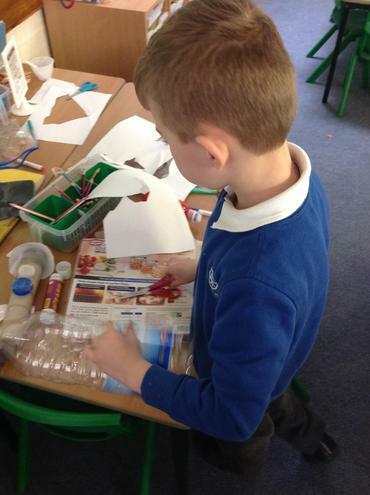 We learnt a new song about being positive when learning new things, trying different options and never giving up. 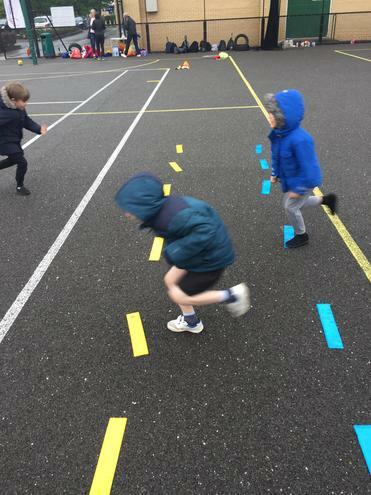 Then we watched 'We're Going on a Bear Hunt' by Michael Rosen and discussed the obstacles the children in the story face to find a bear and how they overcame them. 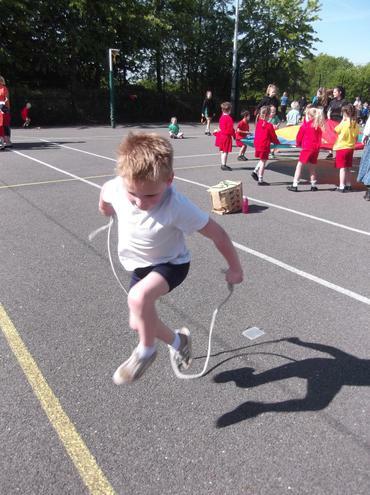 We then thought about the obstacles in our way when learning to read and in other situations. 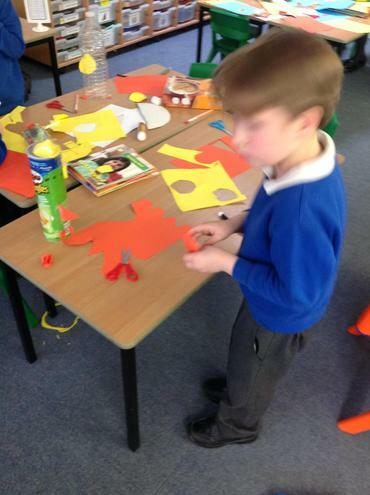 There were some great suggestions in Year 1 today. 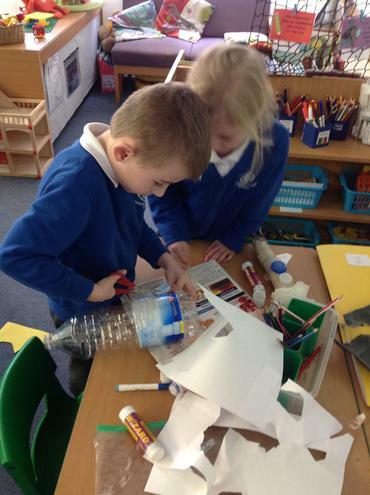 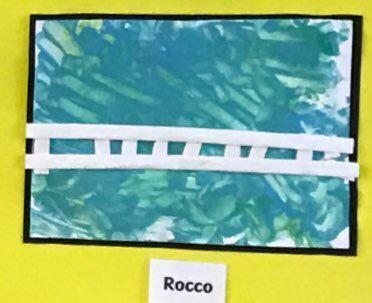 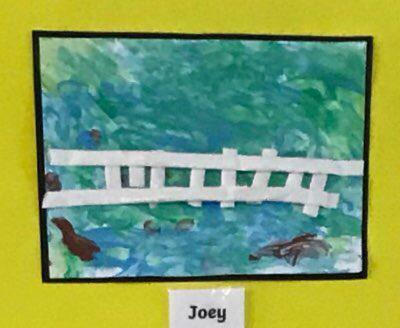 We had to travel across the obstacles from the story to reach the bear. 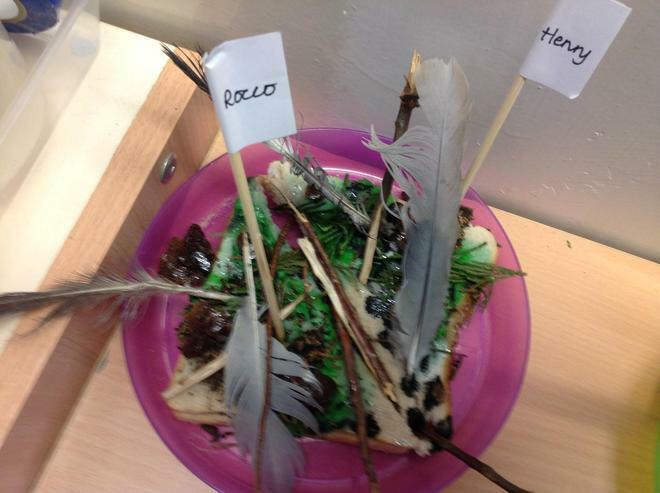 These were the obstacles from the story; long grass, a cold river, thick mud, a deep dark forest and a cave. 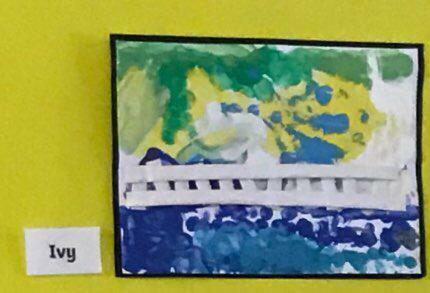 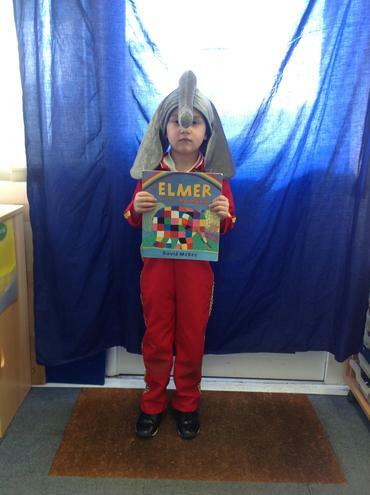 Check out the link to the story told by Michael Rosen below. 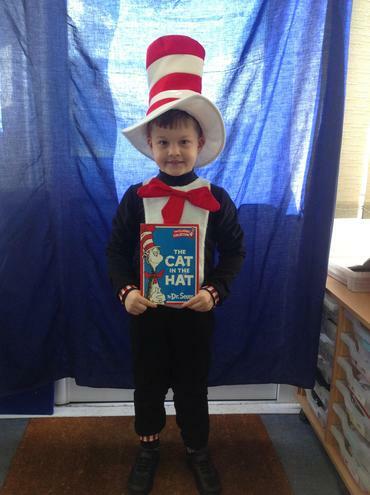 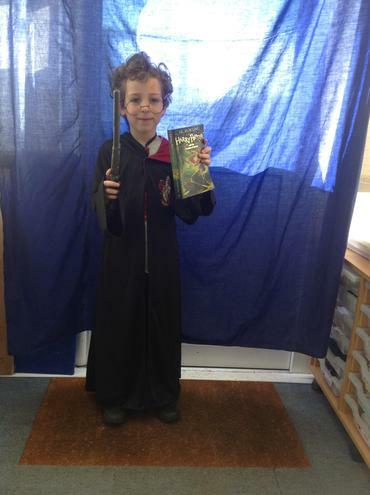 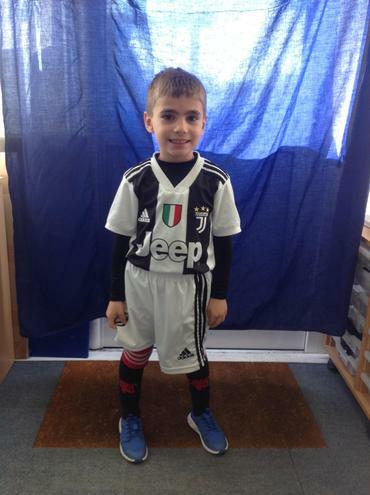 We had lots of fun on World Book Day, everyone who dressed up made a fantastic effort and really enjoyed their day in costume. 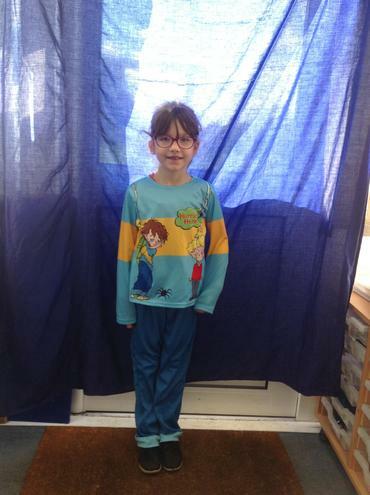 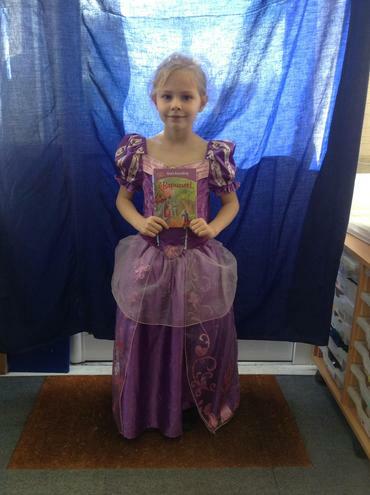 We had Rapunzel, Cat in the Hat, Steve Backshall, Horrid Henry and many many more. 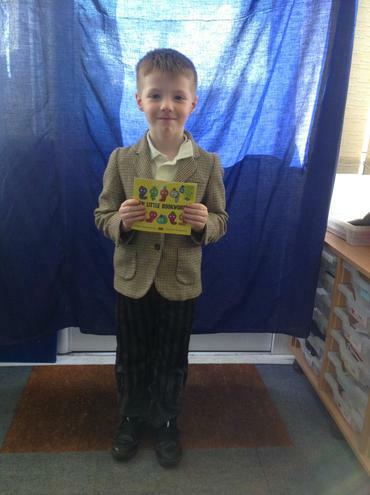 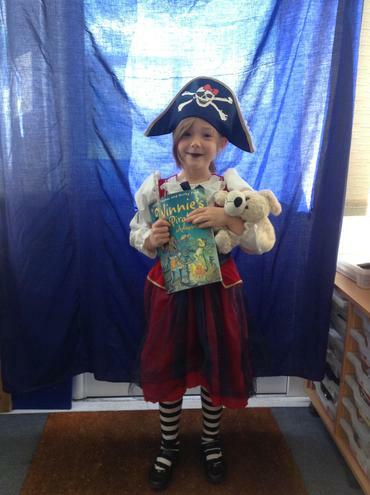 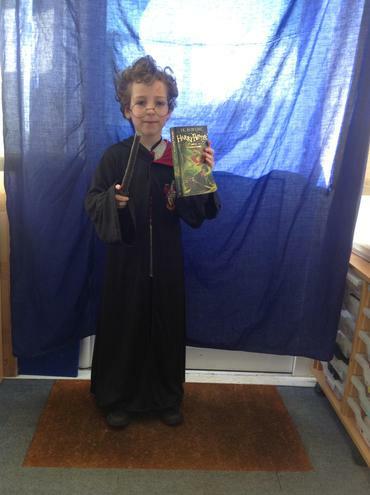 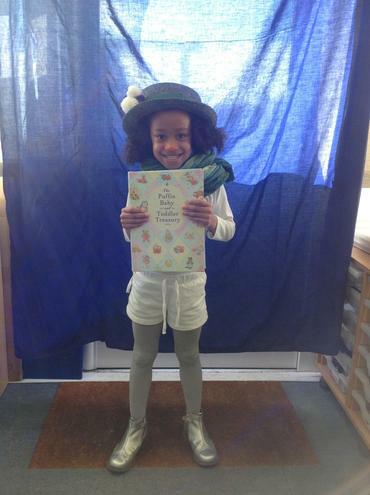 We shared our books with the rest of the school in the hall and enjoyed seeing everyone dressed up! 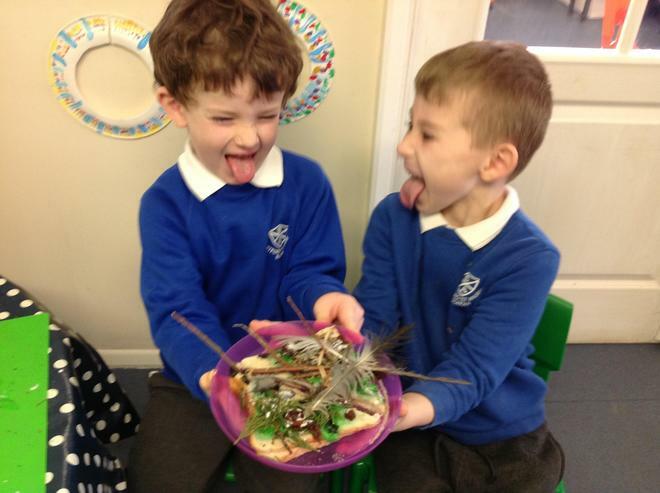 A huge well done to Ana for winning the most extreme photograph competition and to Freddie and Henry who were runners up! 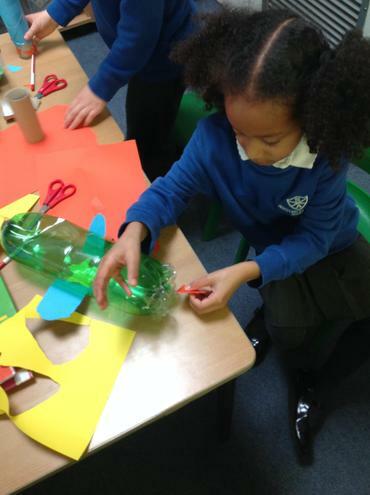 This week we explored our new topic I'm Alive! 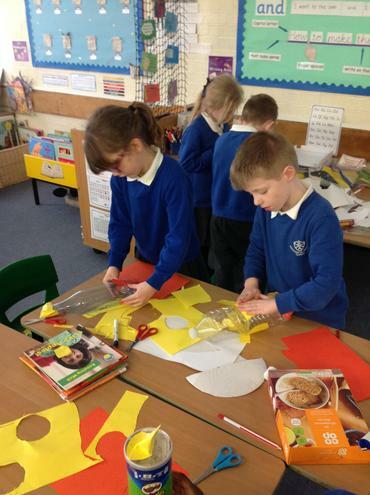 We started by thinking about what we already know and what we want to find out about the new topic. 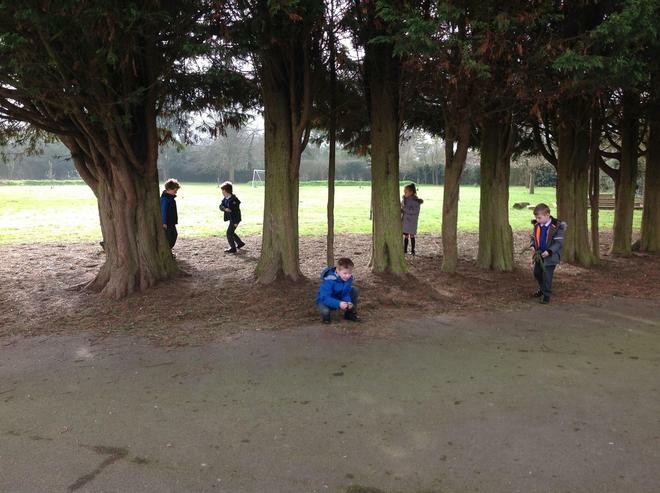 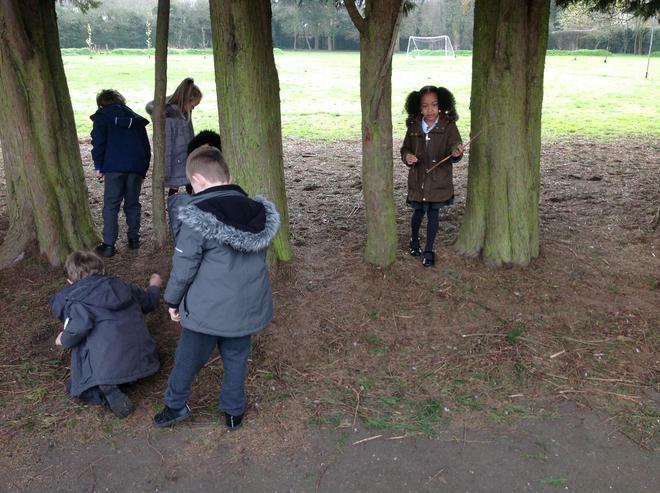 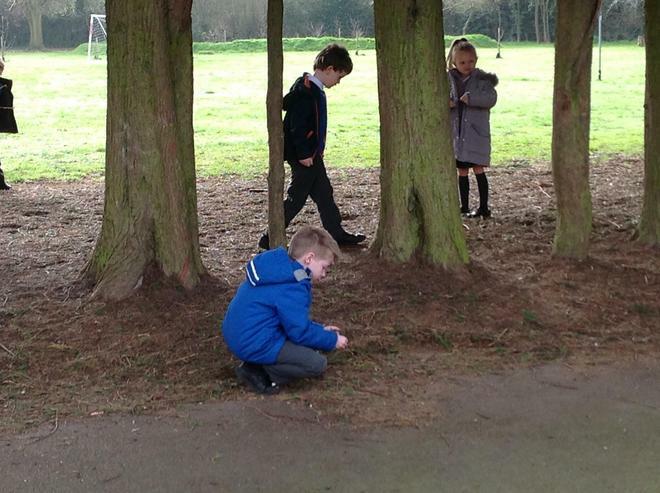 Then we investigated things that are living, non-living and never alive. 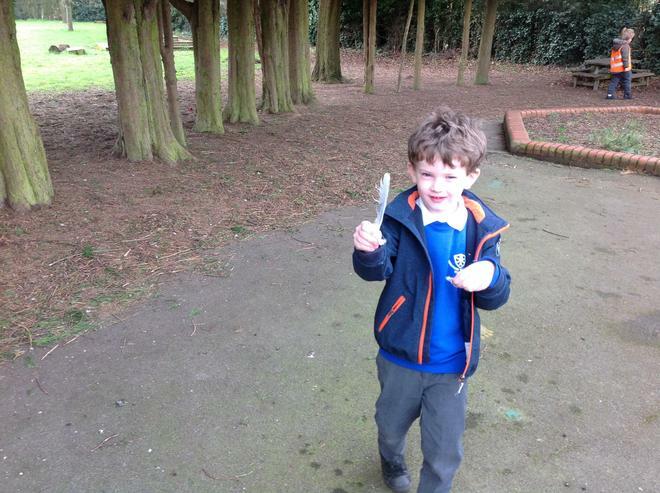 We explored the playground to see what we could find...which category do you think each object fits into. 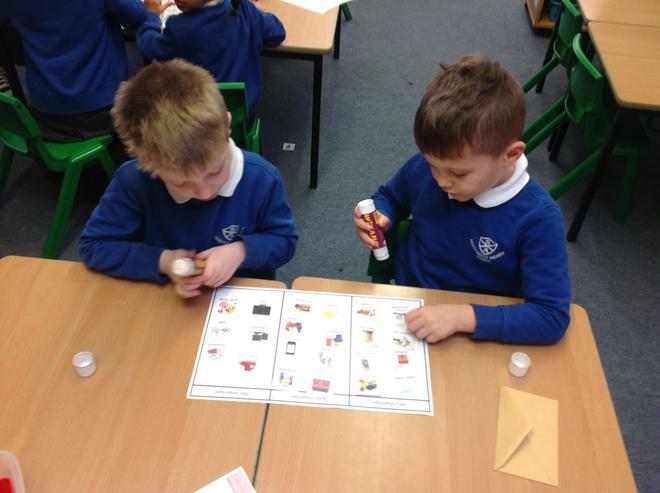 We have been learning about the days of the week, how to sequence and spell them and how to read a calendar. 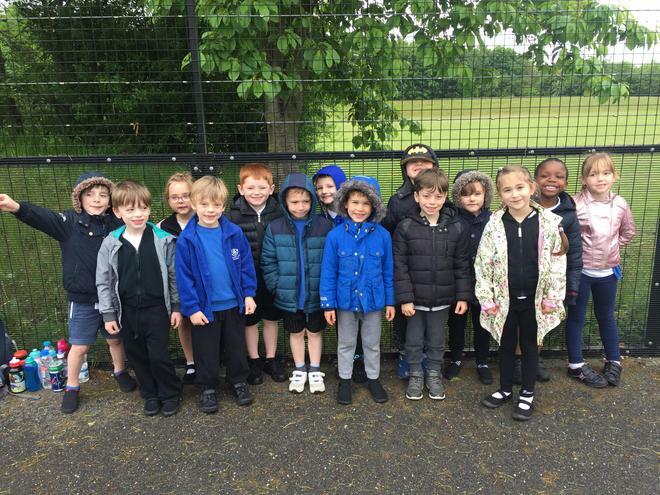 We really enjoyed singing along to a BBC Supermovers song. 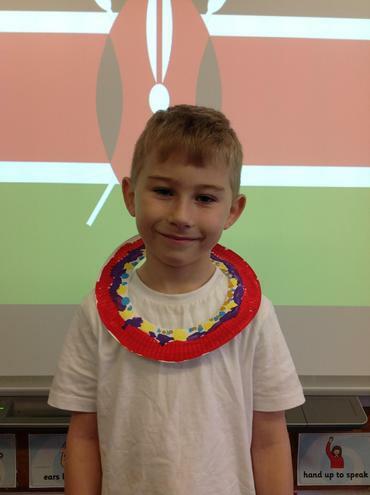 Check out the video that helped us learn the song! 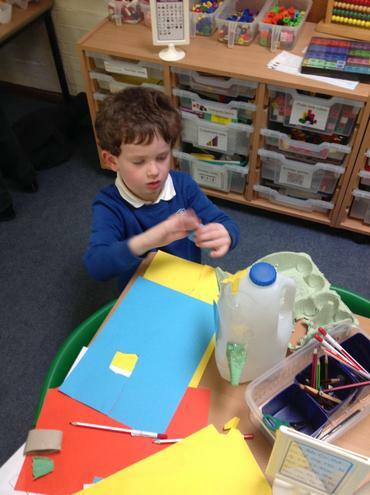 We have been thinking about all the things that make us feel good. 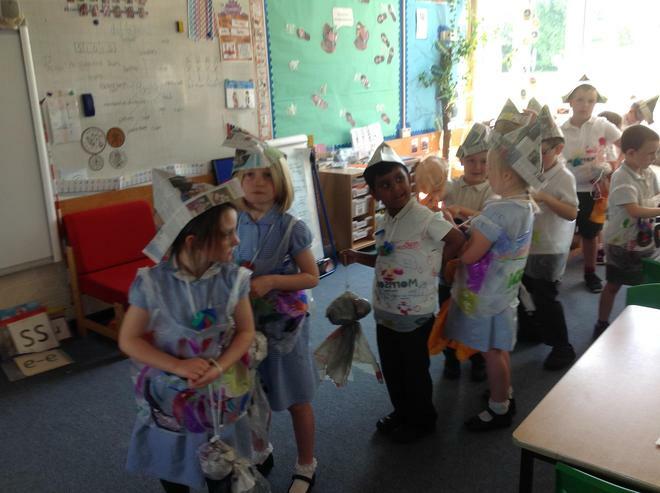 We read a story called 'Have you filled a bucket today?' 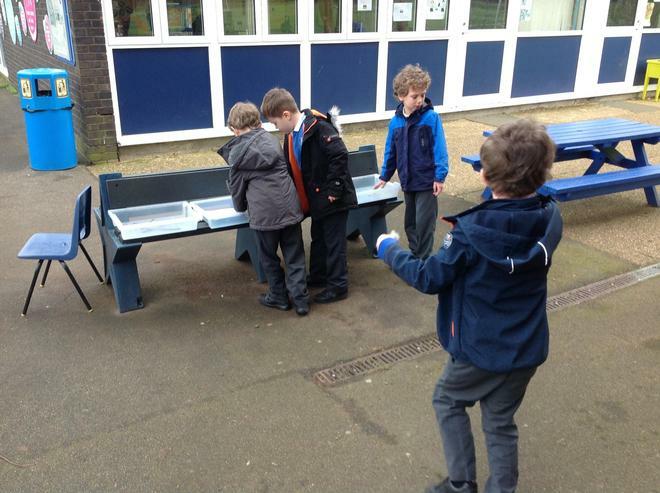 which taught us that positive words and kind actions make people feel happy and keep their imaginary bucket full up. 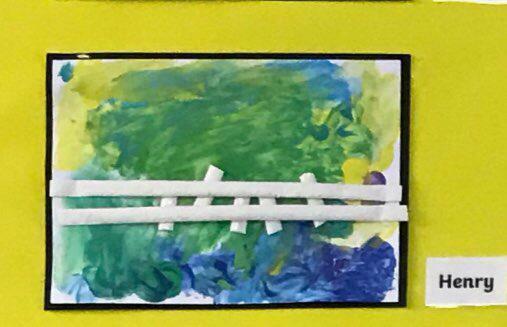 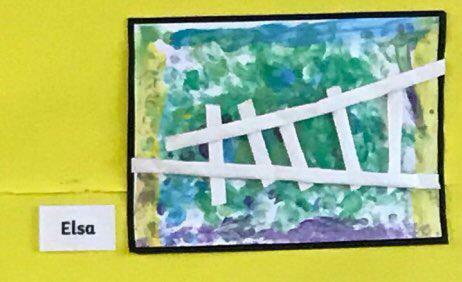 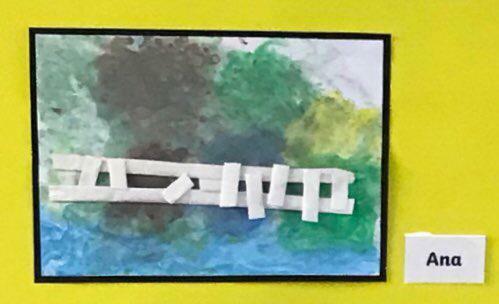 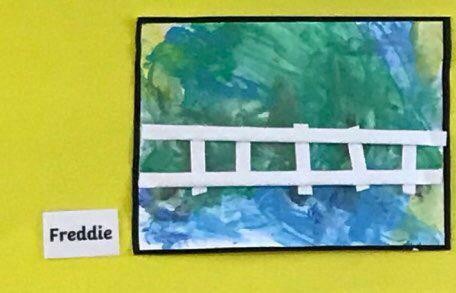 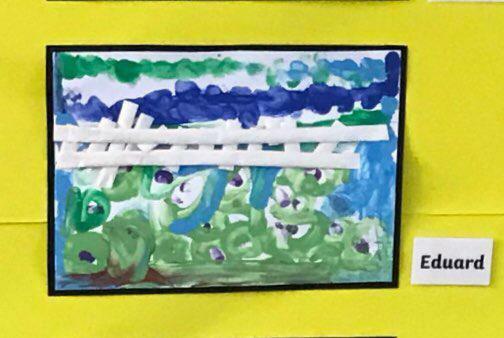 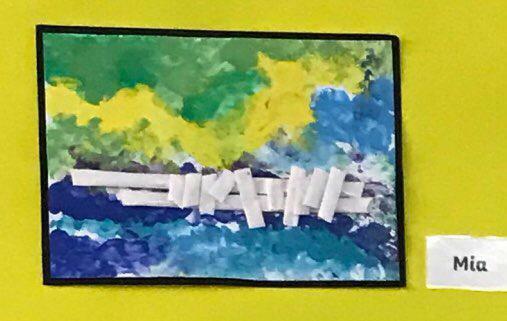 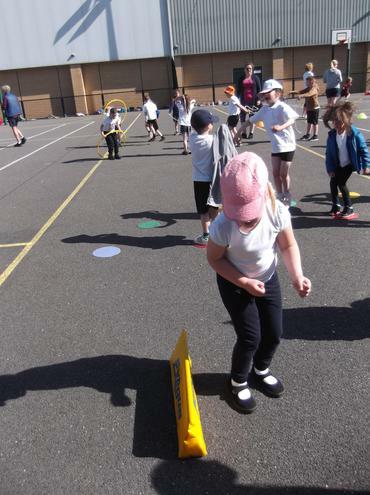 We have thought about having a growth mindset instead of a fixed mindset, thinking of all the things we can do as well as the things we can't do 'yet'. 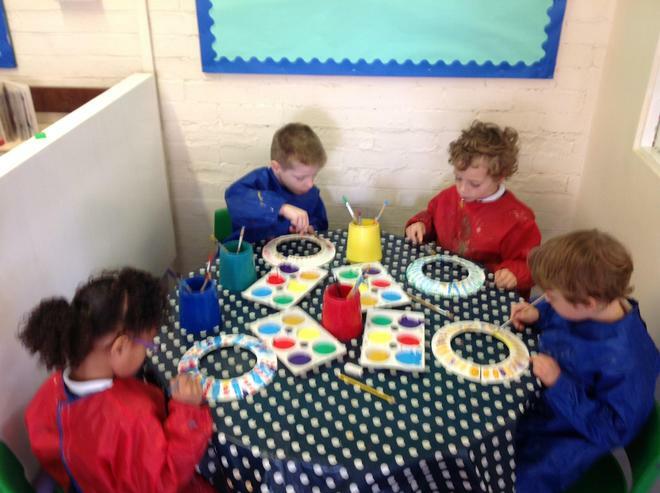 We have started to paint feeling good pebbles to go outside at school. 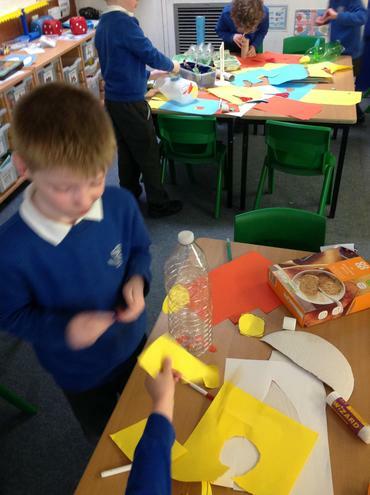 We learnt lots about staying safe on the internet and how to work together to stay safe. 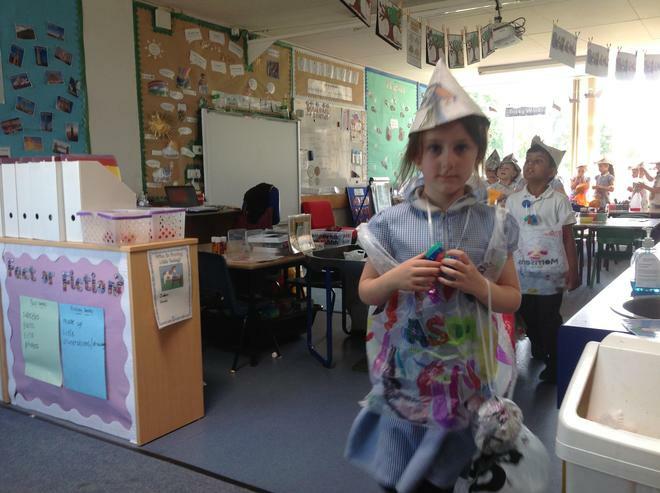 We each made a paper plate Smartie and some of us made some pom pom penguins to look like Smartie. 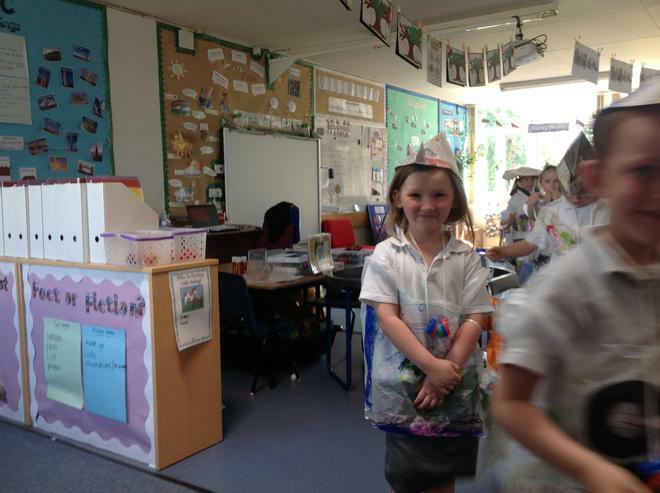 We learnt a rap about staying safe. 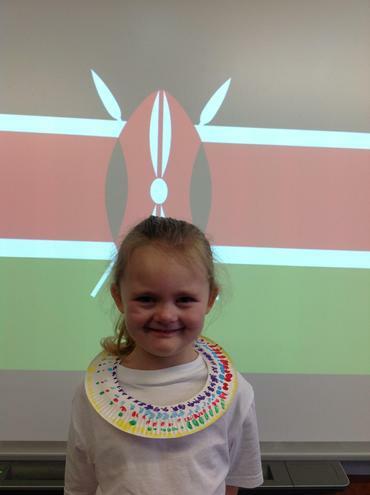 Following on from Mrs Bond's Human Rights Day Assembly we discussed all the things that we think are important for children to have. 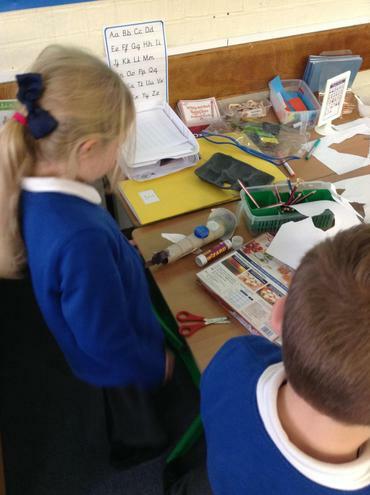 We looked at the difference between wanting something and needing something. 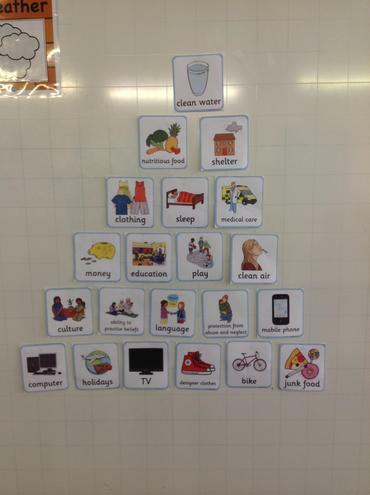 Then we sorted out some picture cards and created a pyramid with the most important needs that we have at the top and the things we want at the bottom. 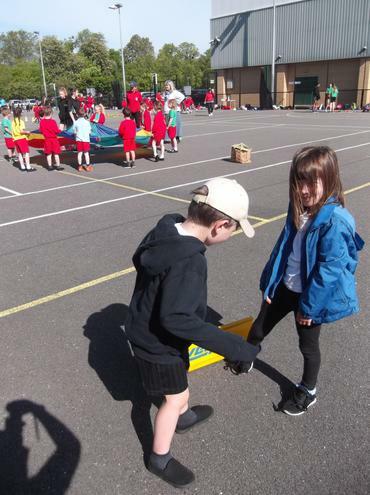 After creating our pyramid, we completed an activity with our learning partners to sort the cards into three categories: Very important, quite important and not important. 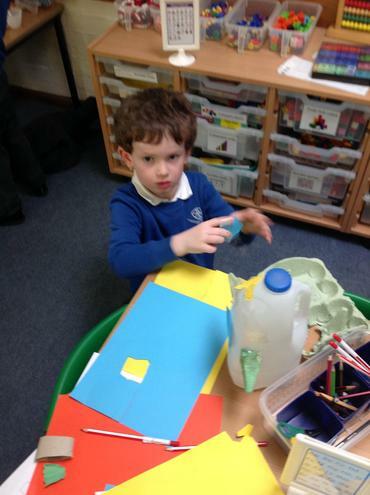 We had to decide what we thought about each card together. 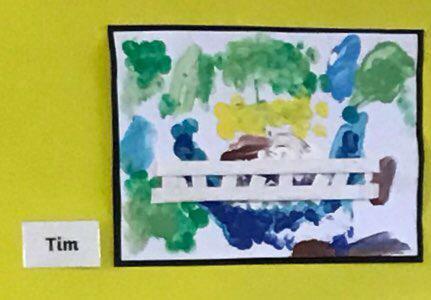 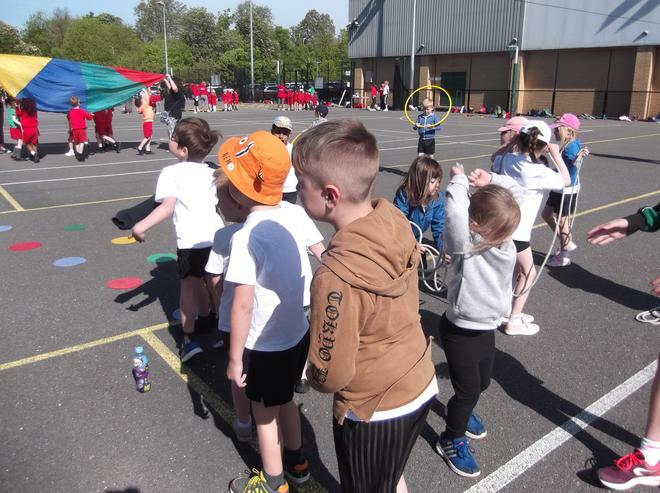 We then looked at some photographs of children's whose basic needs were fully met and compared it to one of children whose basic needs were not met. 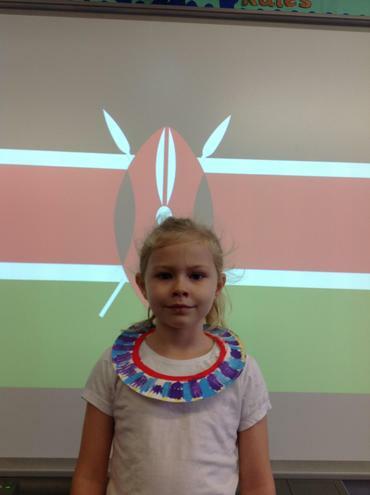 We wrote about what we think Human Rights Day helps us remember. 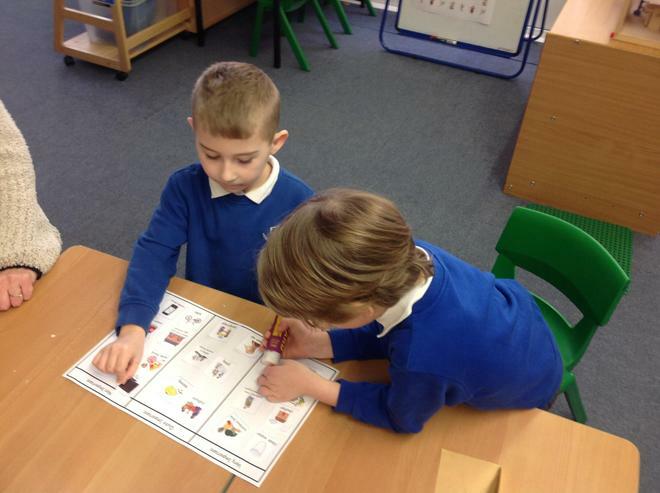 Some of us used a sentence writing support to help us and some of us wrote independently. 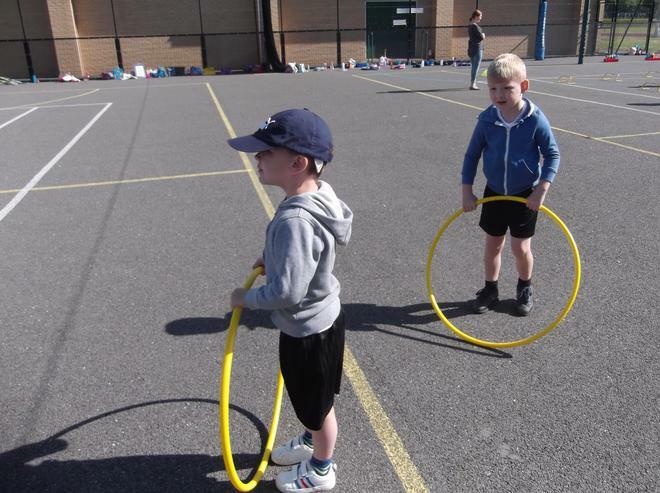 Year 1 had a brilliant time practising their circus skills with instructor Phil. 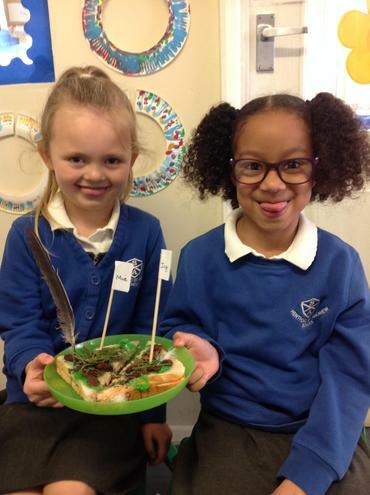 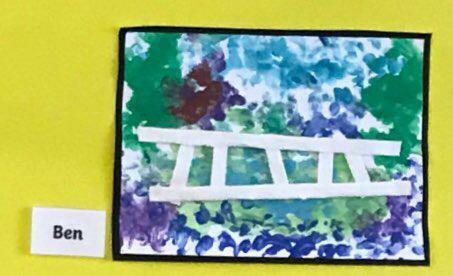 They started by learning how to throw and catch scarves, then balanced plates on sticks before moving onto balancing feathers on their hands. 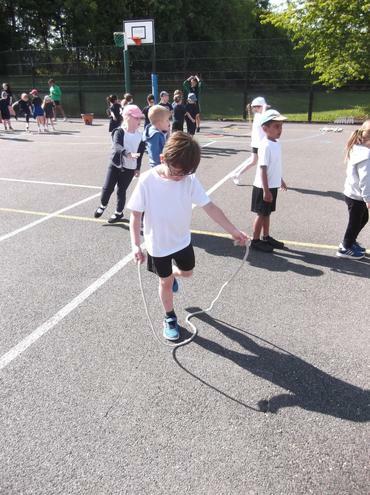 Everyone had a turn at walking the tightrope, with a little adult support and even those who were nervous jumped up to take their turn. 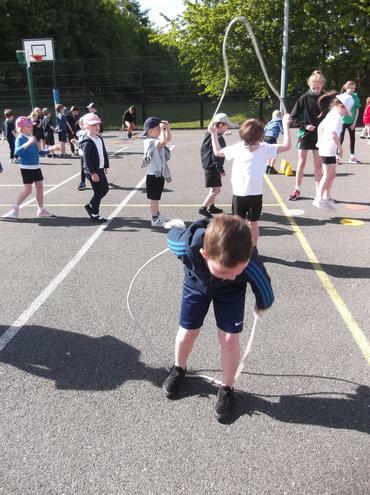 Have a look at the gallery on the latest news page to see us performing our tricks! 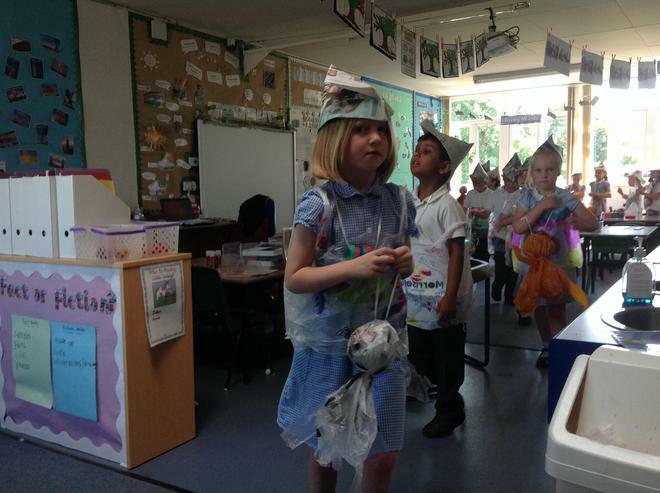 Key Stage 1 have worked so hard this term to master their performance of 'Mary's Knitting'. 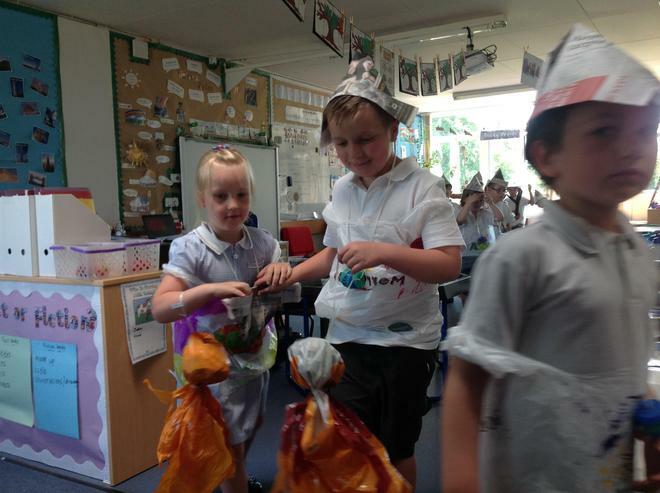 We are so so proud of how dedicated they were to make it a good performance and they all participated brilliantly for their audiences. 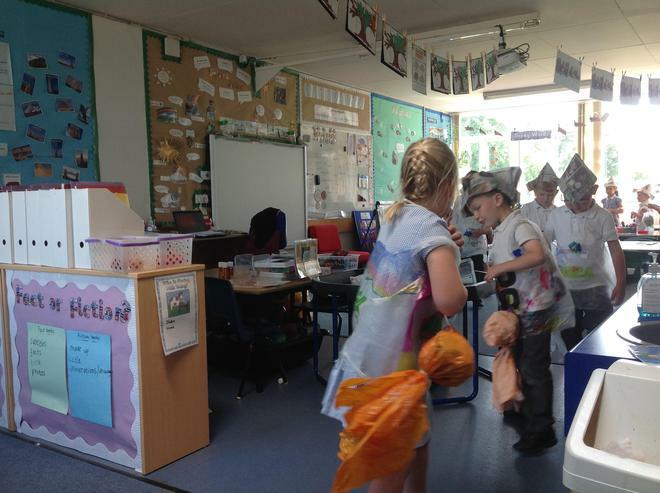 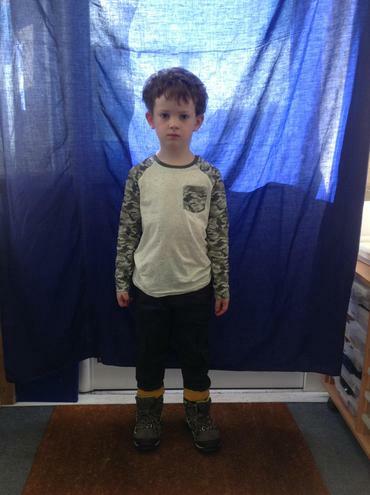 Year 1 were super at remembering their lines and their cues to come on stage or speak, I am sure they will make super narrators in their performance next Christmas in Year 2. 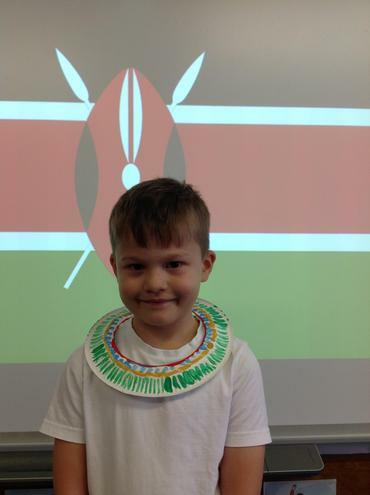 We have been reading 'Handa's Surprise' by Eileen Browne this week which is based on real members of the Lou tribe in South West Kenya. 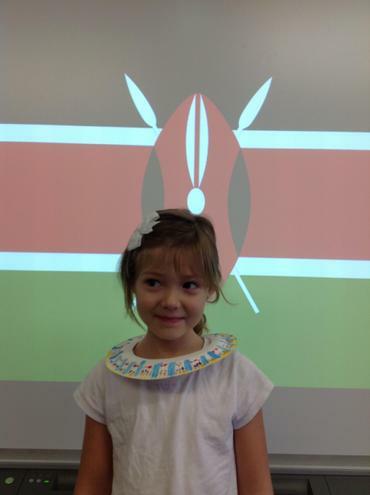 First we looked at how far away Kenya was on Google Maps and found it would take 149 hours to drive there! 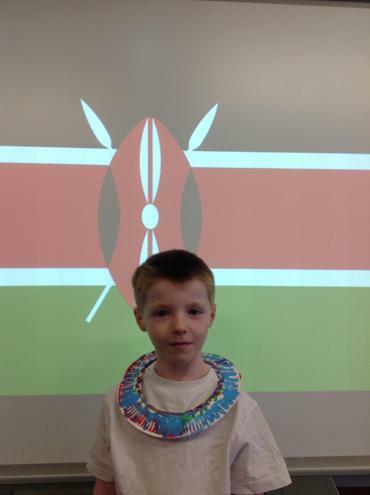 We looked at the difference between our school and the schools that children attend in villages in Kenya. 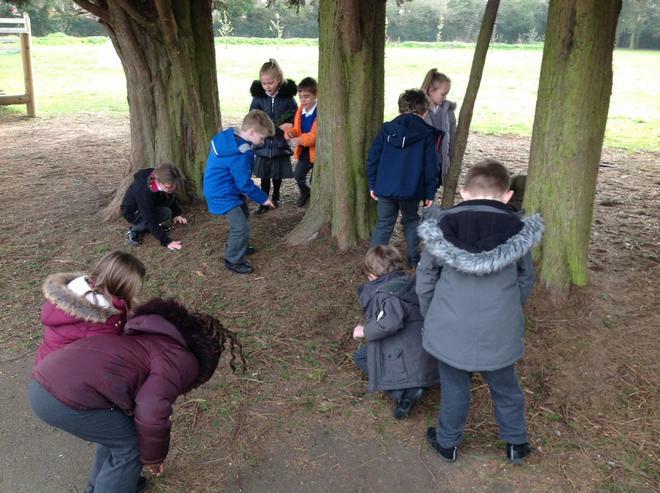 We also looked at mud huts in villages similar to where Handa is from in the story. 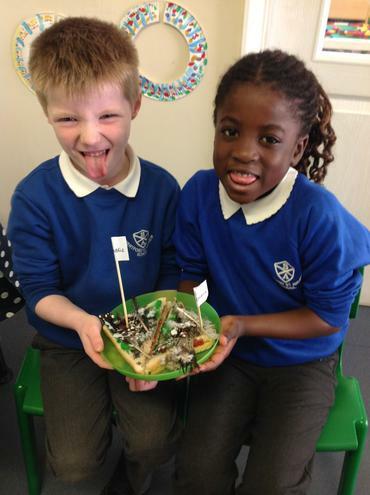 We had great fun exploring the fruits in Handa's basket. 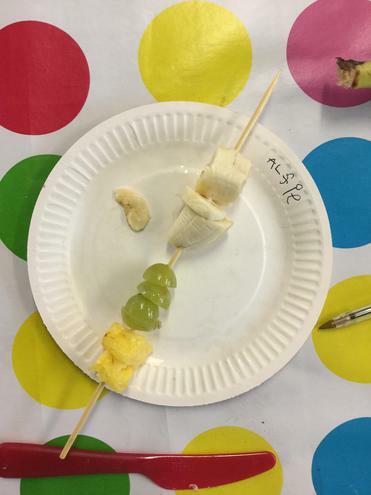 We tasted banana, guava, mango, passion fruit, orange, avocado pear, pineapple and tangerine. 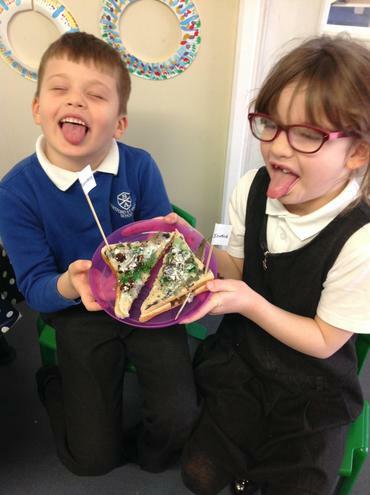 We touched them, smelt them and finally tasted them. 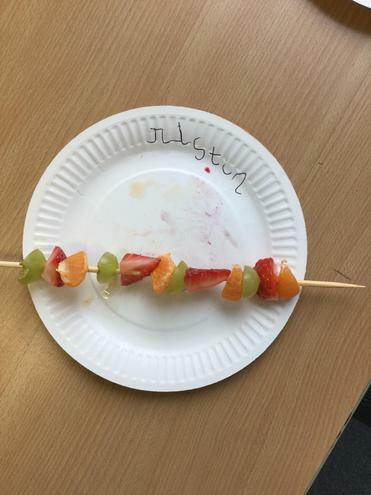 After the tasting we collected data by creating a tally chart to see which fruits Year 1 liked the most and the least. 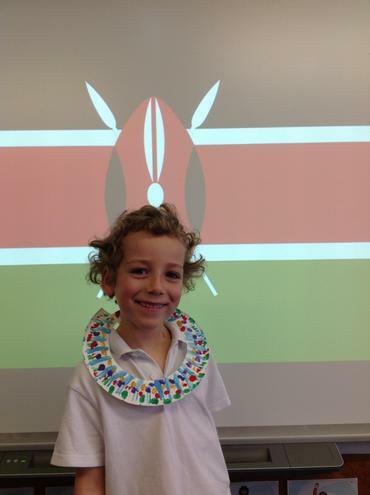 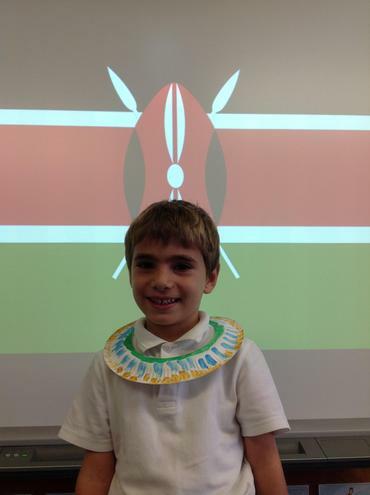 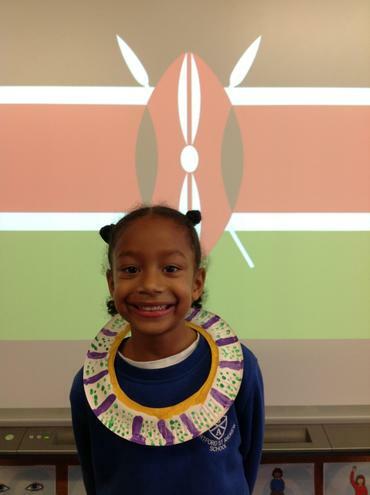 We looked at Kenyan jewellery and the types of necklaces people wear. 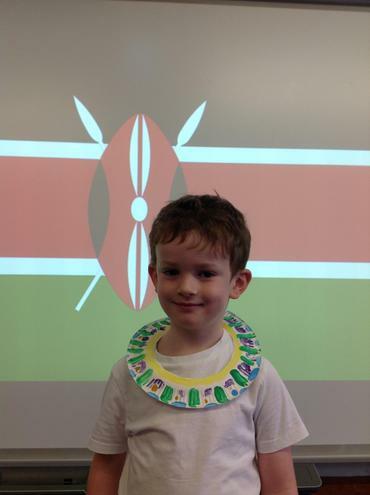 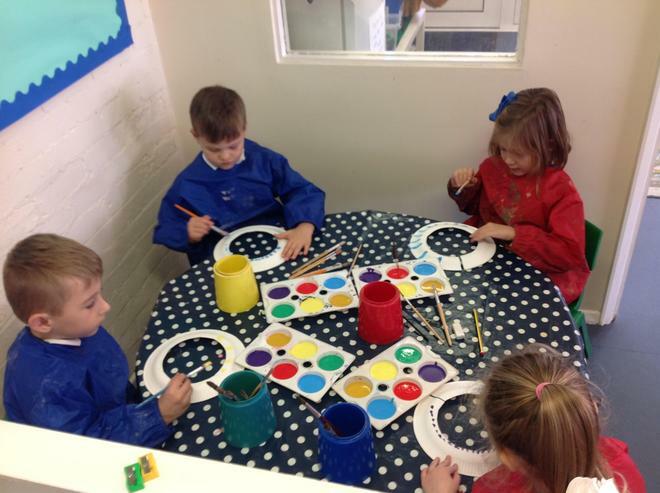 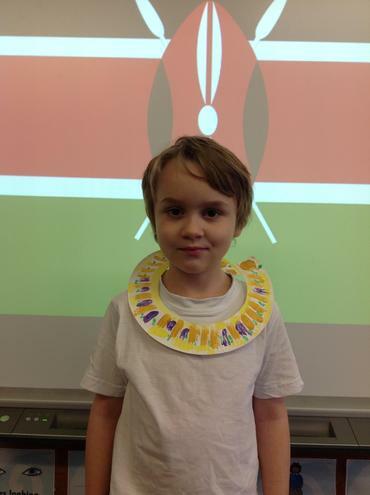 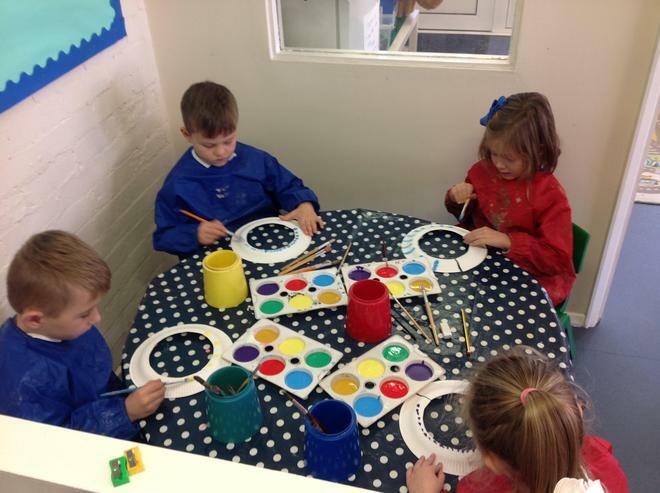 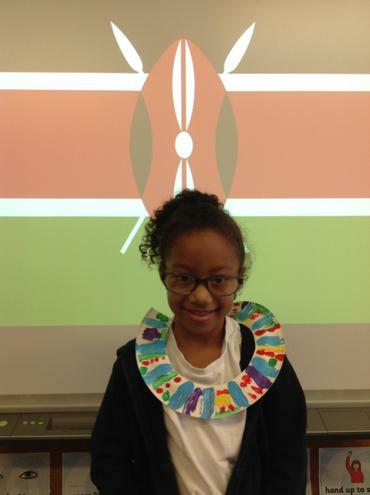 We created our own necklaces using paper plates and painted them with bright colours like they use in Kenyan jewellery. 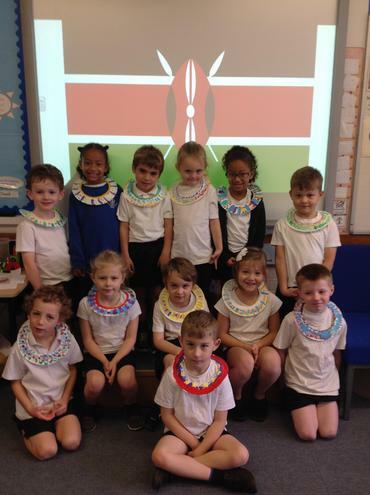 We looked at these beautiful Kente dresses from Ghana in East Africa, what a wonderful present from Grandma! 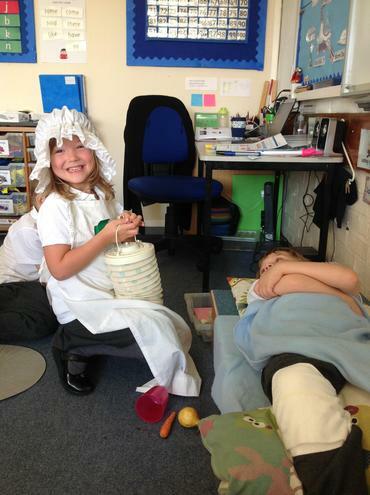 We have been looking at Florence Nightingale this week and investigating the changes she made to hospitals during the Crimean War. 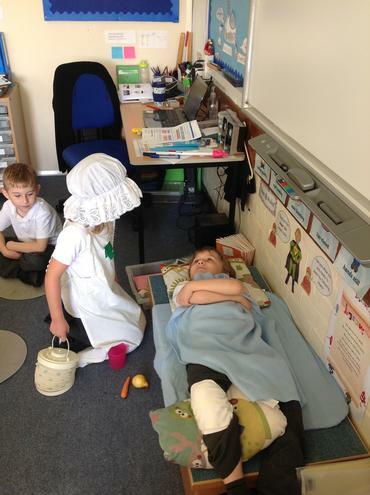 We watched Magic Grandad on the smart board and saw how she made lots of changes to improve hospitals and patient care, We sorted pictures to show how hospitals were before and after she arrived. 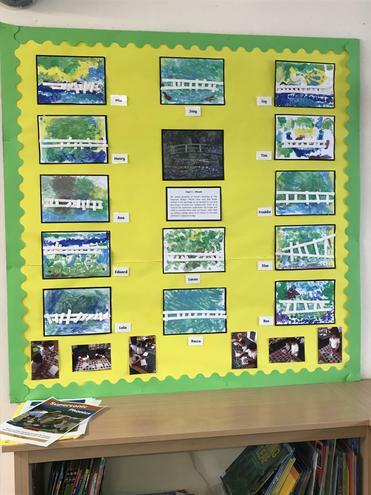 Then we created a timeline of her life and finally we wrote about her work. 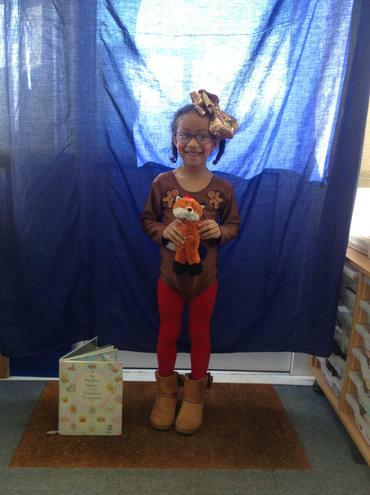 We had lots of fun dressing up as her and treating patients! 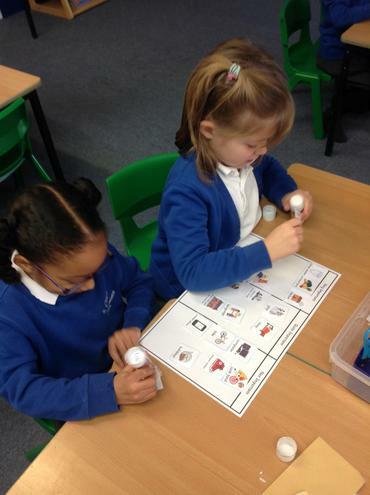 Today we have been practising matching patterns on tens frames, We looked at different tens frames on the smart board for 10 seconds and then had to recreate it on our own tens frames. 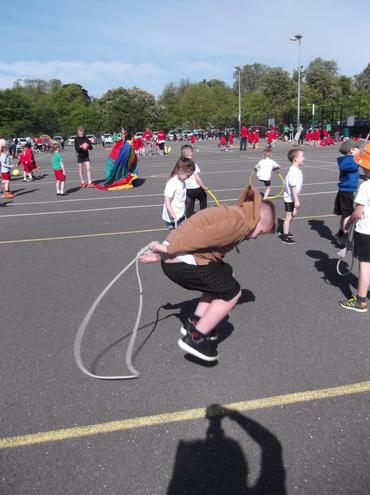 Mrs Terris turned the timer over and we had to beat it! 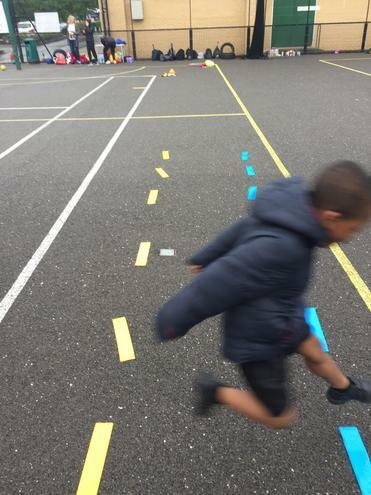 We got really fast at matching the patterns and saying how many counters there were. On Monday we investigated how quickly we can make numbers by matching numbers to number cards and if we can subitise (say how many you can see without counting). 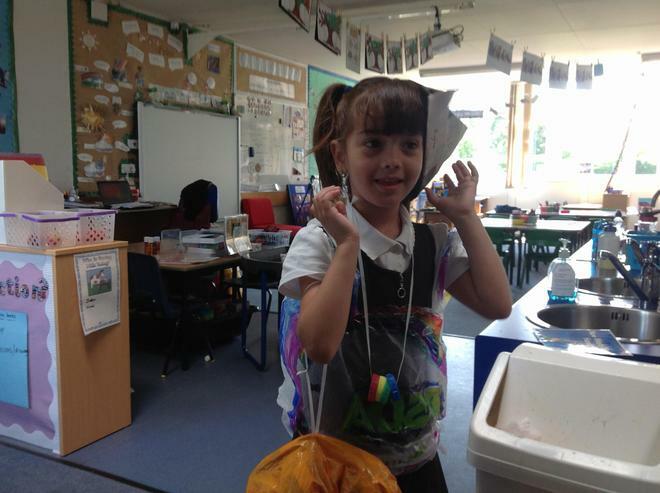 On Tuesday we had great fun investigating how many coloured smarties there were in a small pack, which we got to take home and eat after school! 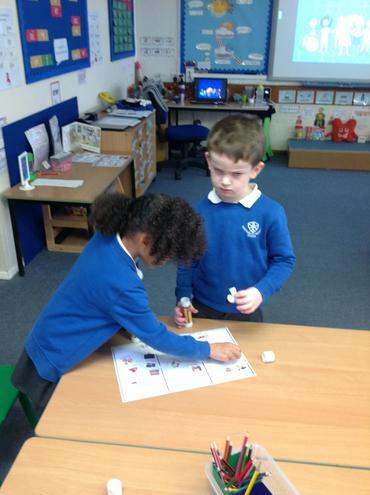 On Wednesday we investigated how to show numbers on a tens frame and practised representing numbers on a dice with our learning partners. 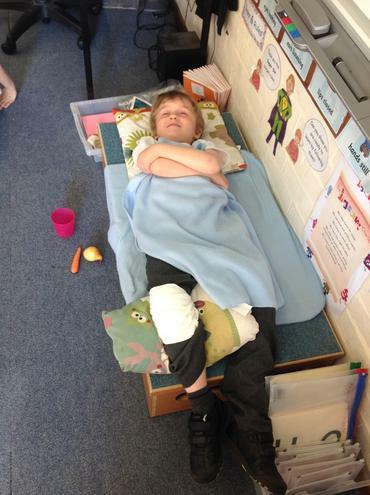 This half term our topic is How Are You? 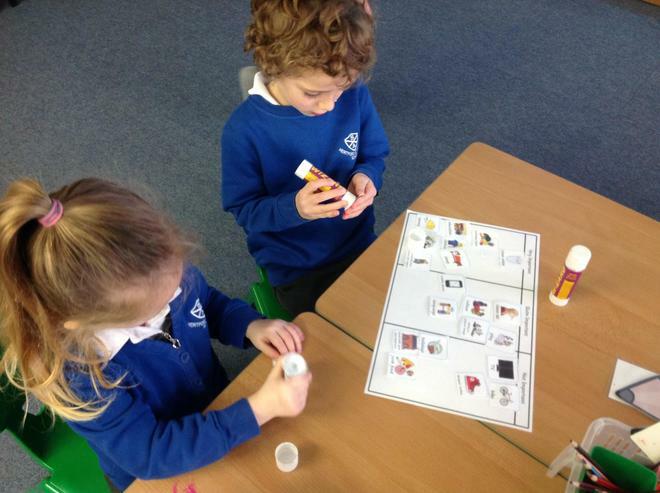 We have been considering how we can live healthy lives and thinking about people who help us. 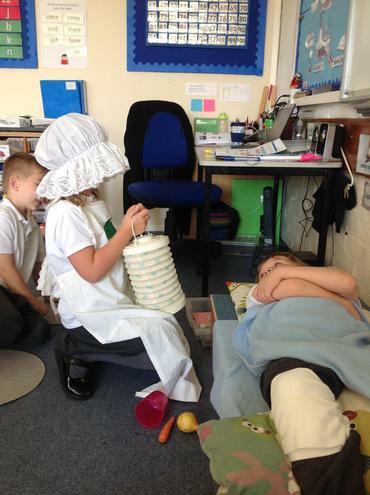 We have a doctors surgery role play at the moment...this poor patient had a poorly head and an injured arm so needed some help but the nurse soon helped him feel better! 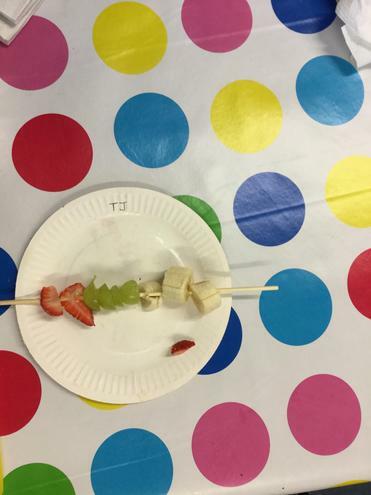 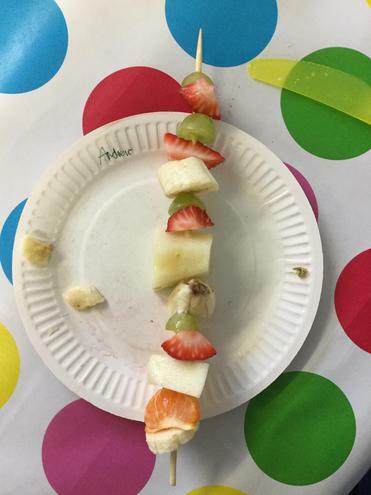 After reading 'Oliver's Fruit Salad' we decided to make some fruit kebabs. 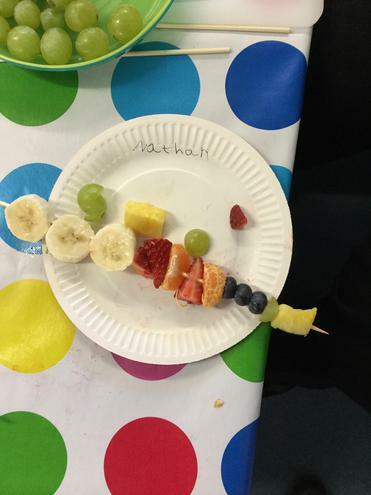 We talked about the fruits we would like to include and the equipment we would need to create the kebabs. 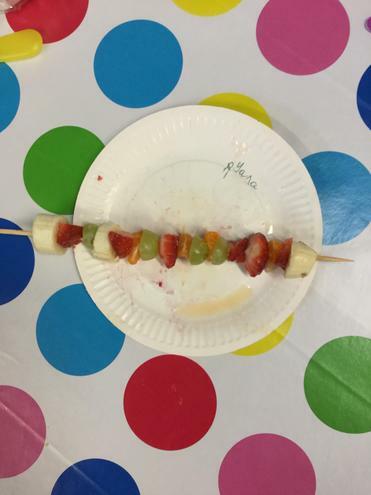 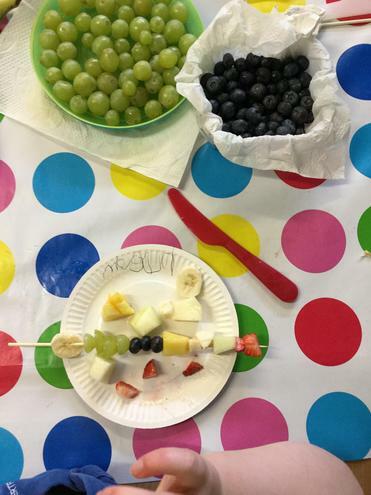 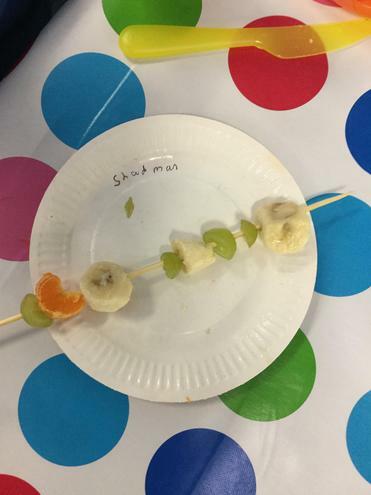 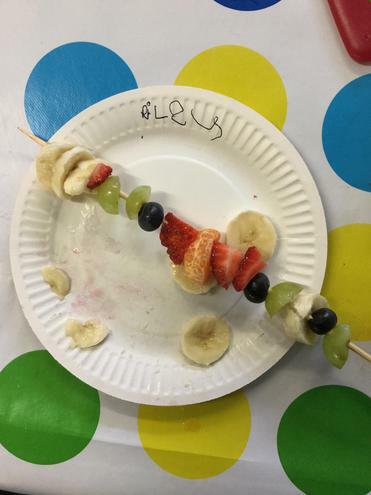 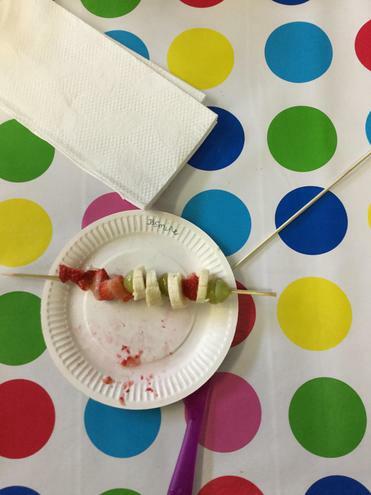 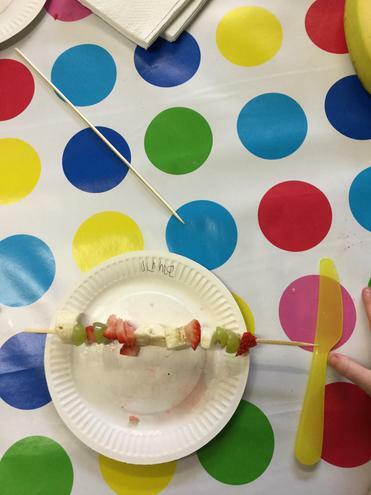 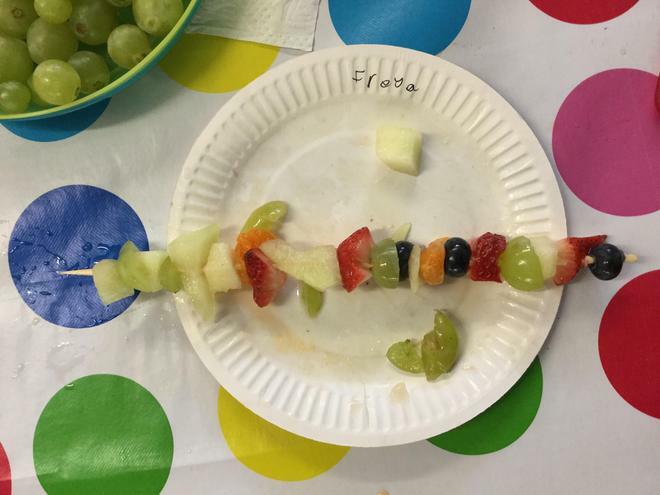 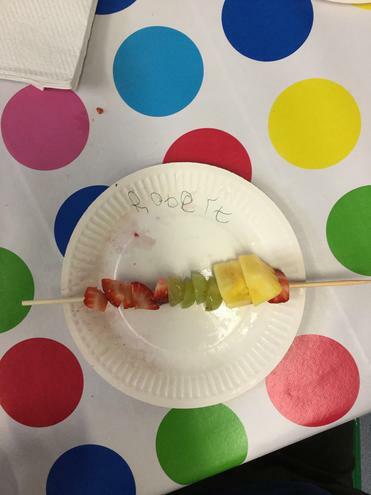 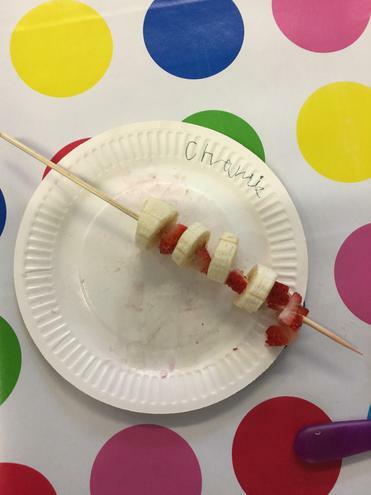 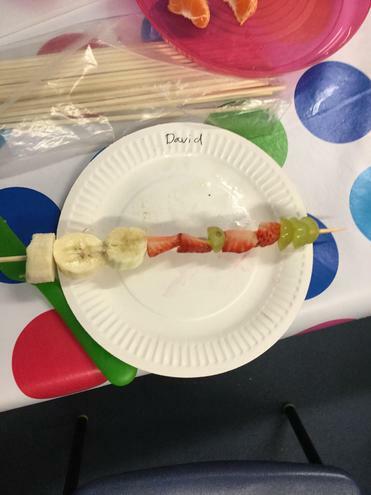 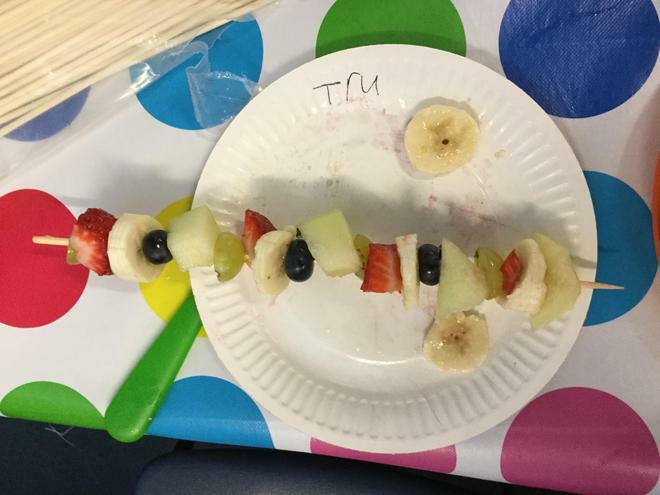 The children designed and labelled their fruit kebabs using a plan which you can see some examples of in the photos below. 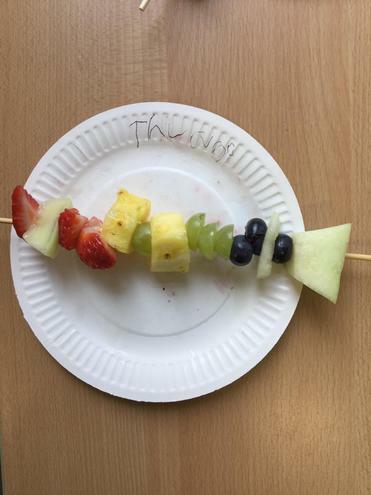 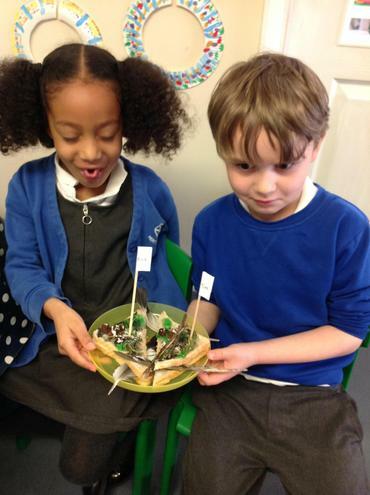 Once Mrs Terris had brought in the fruit we set to work...have a look at our tasty creations! 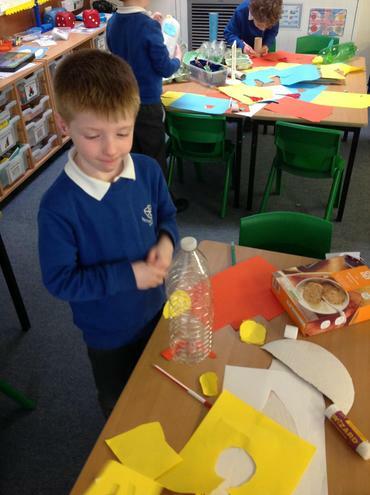 Thank you to all those parents and carers who came to our maths investigation morning. 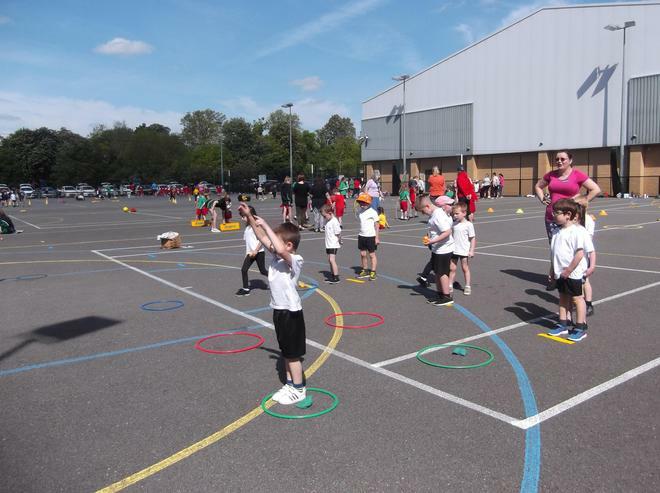 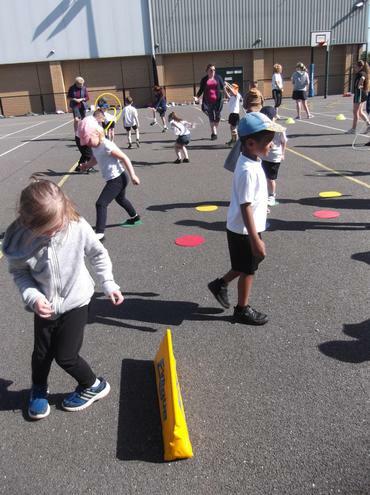 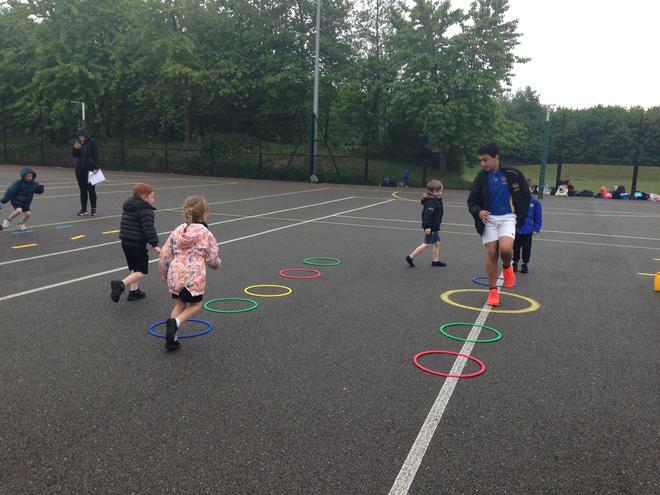 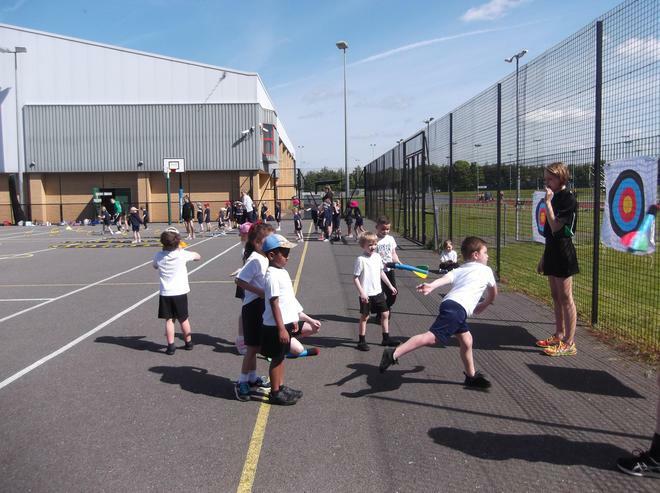 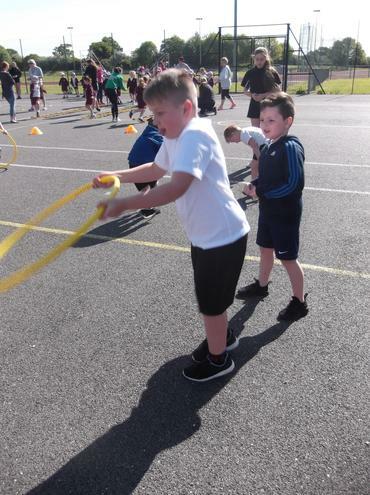 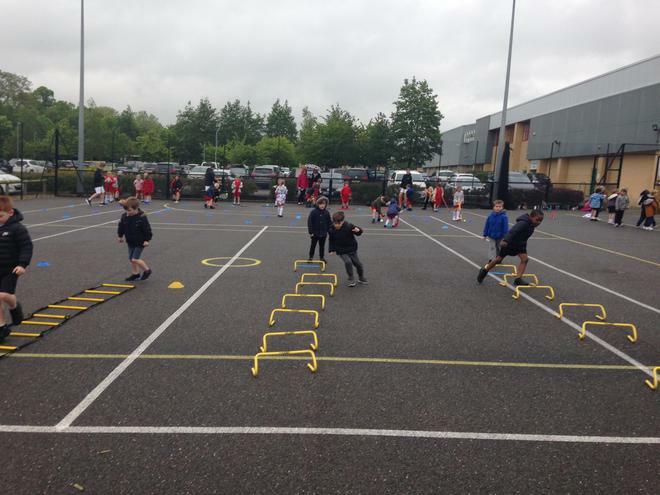 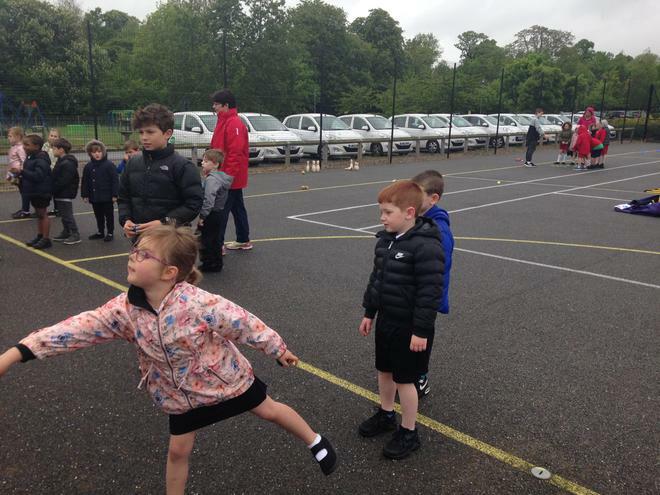 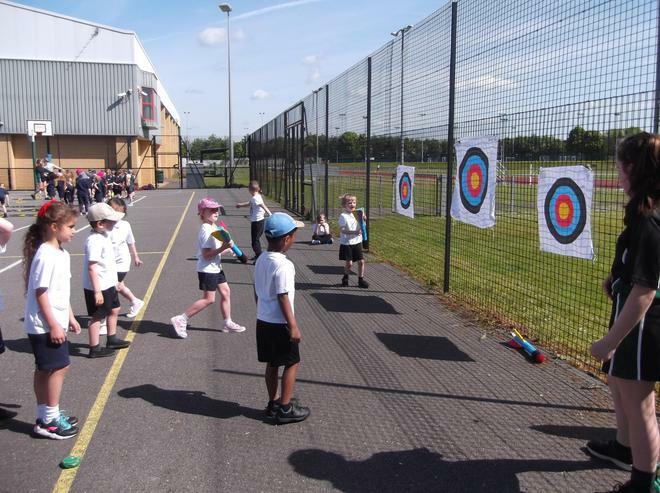 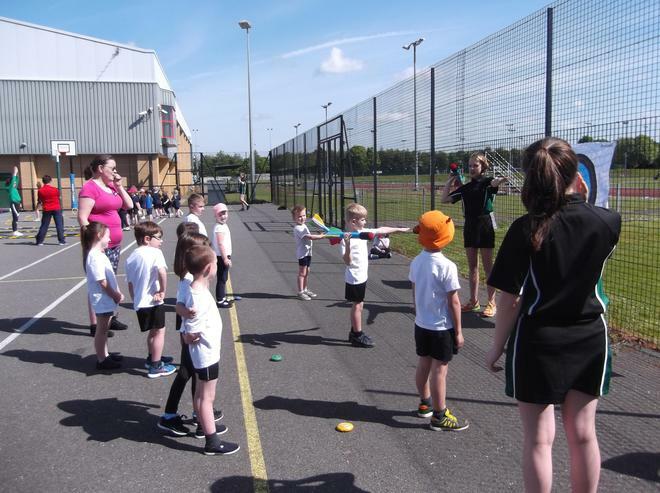 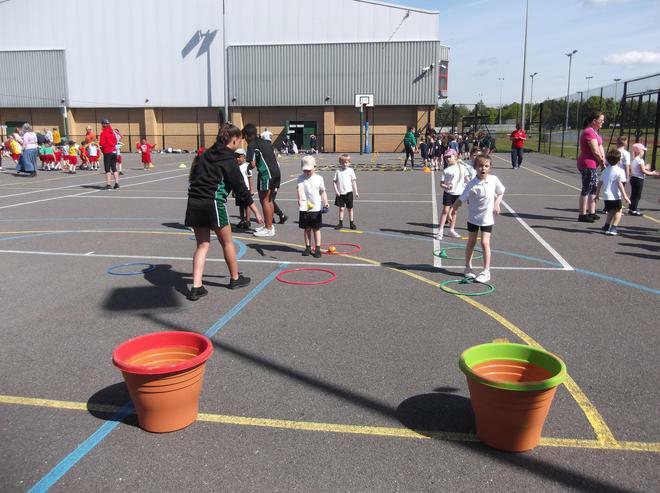 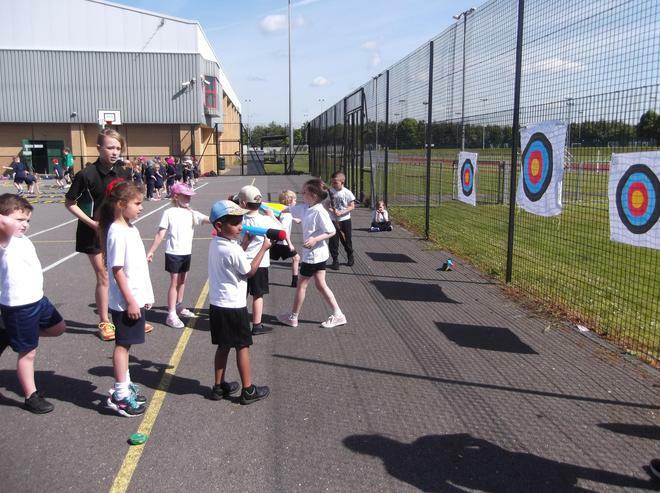 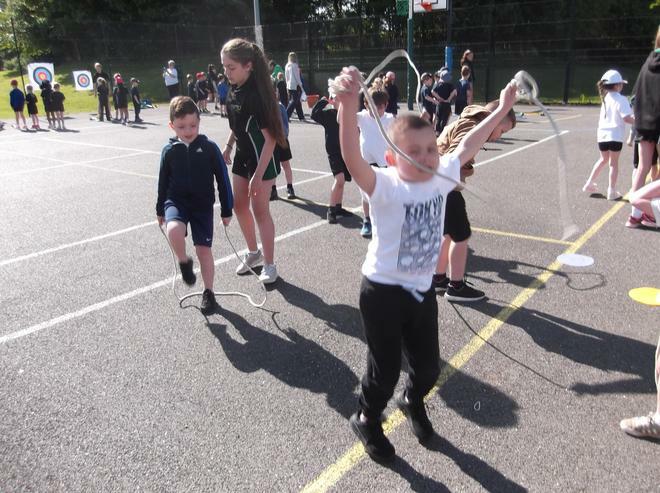 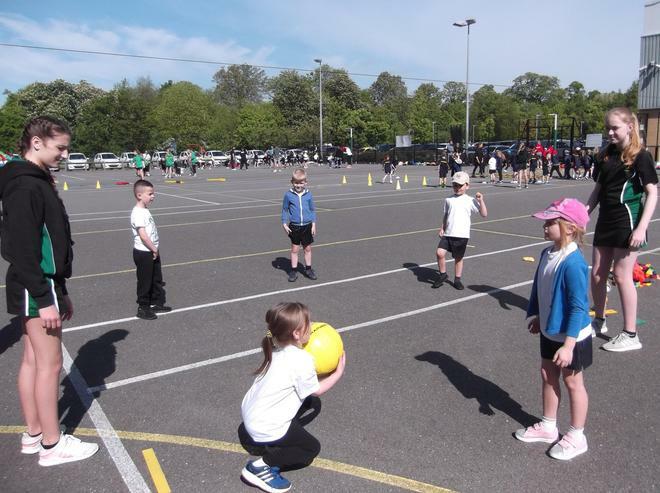 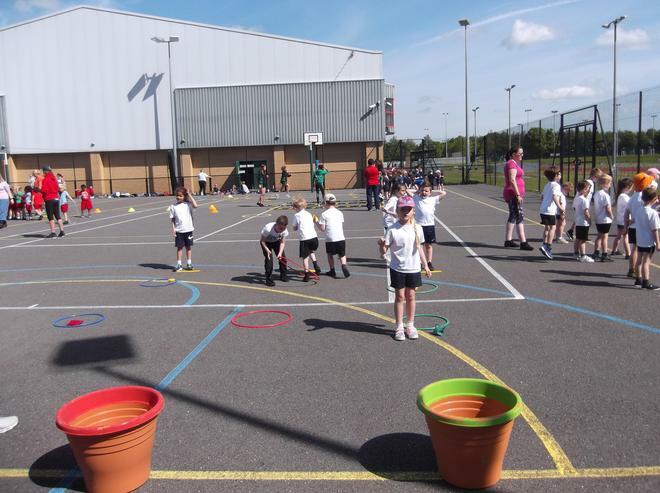 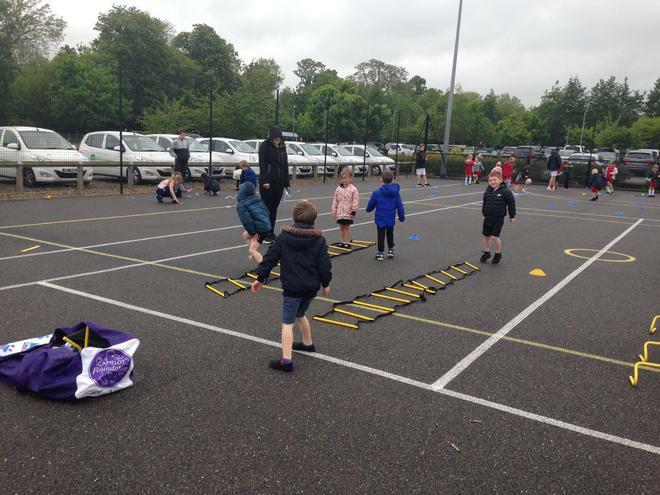 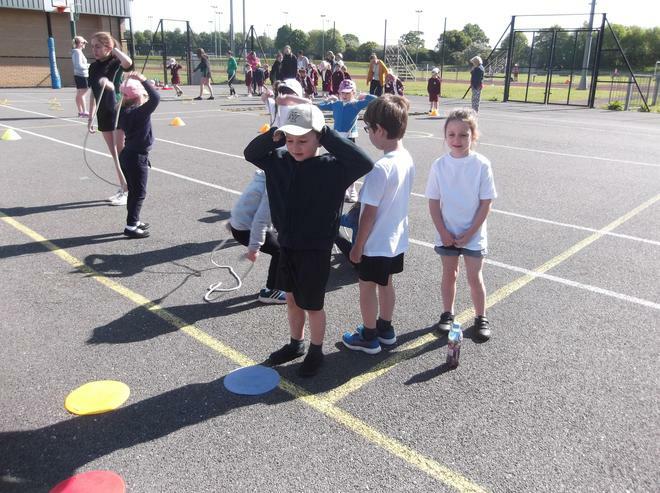 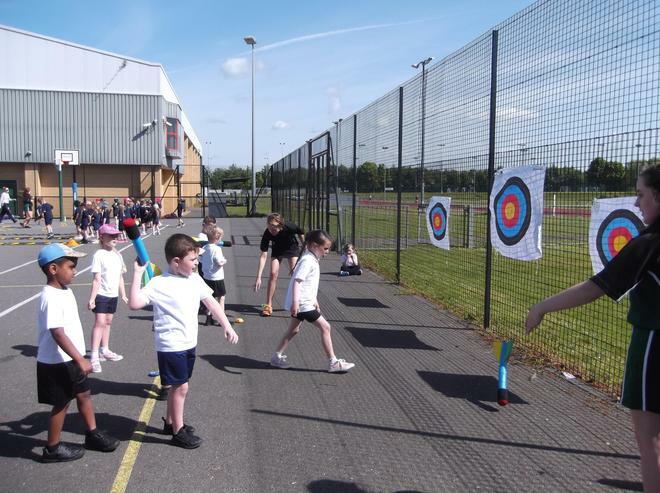 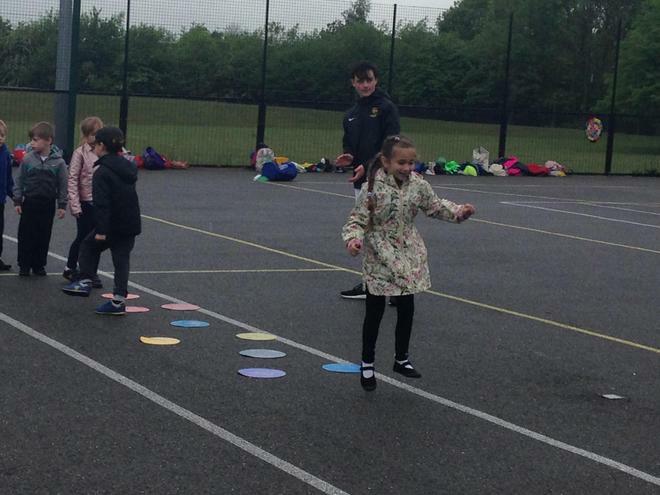 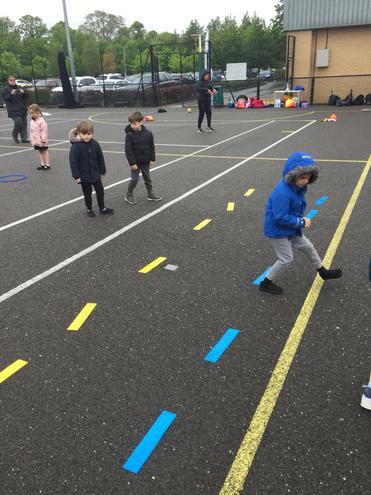 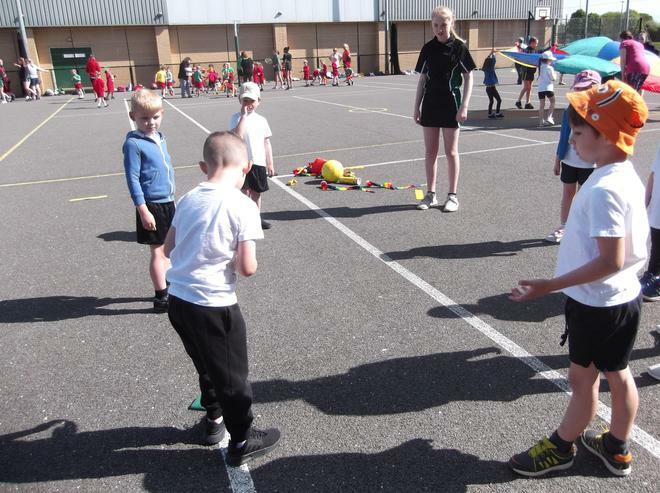 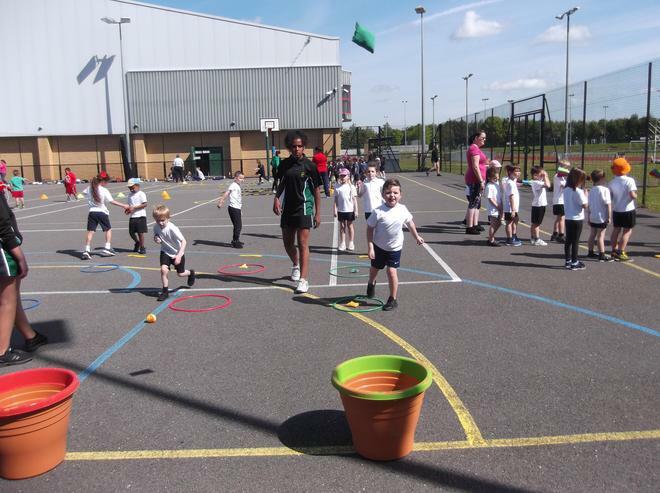 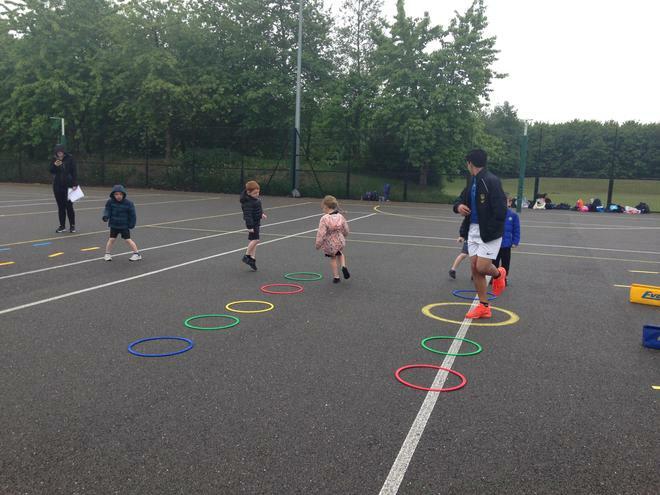 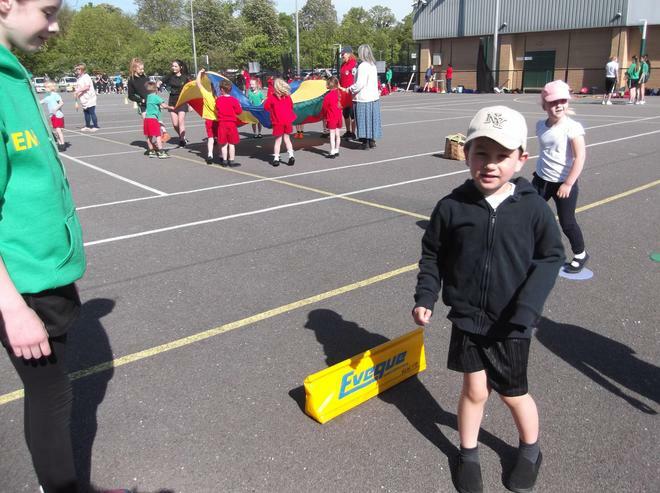 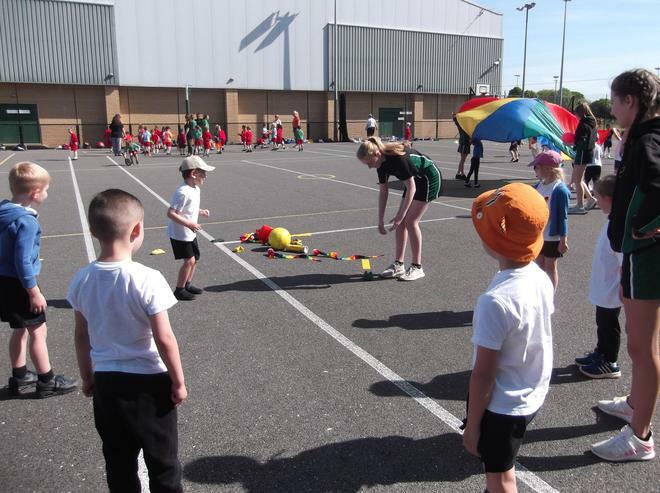 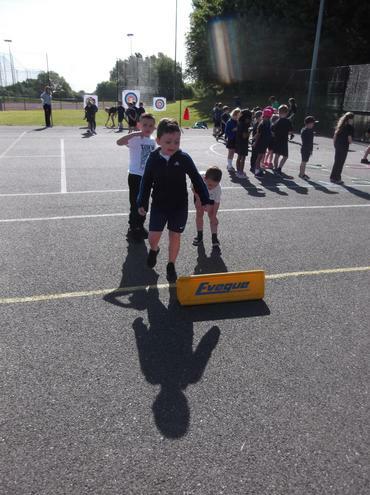 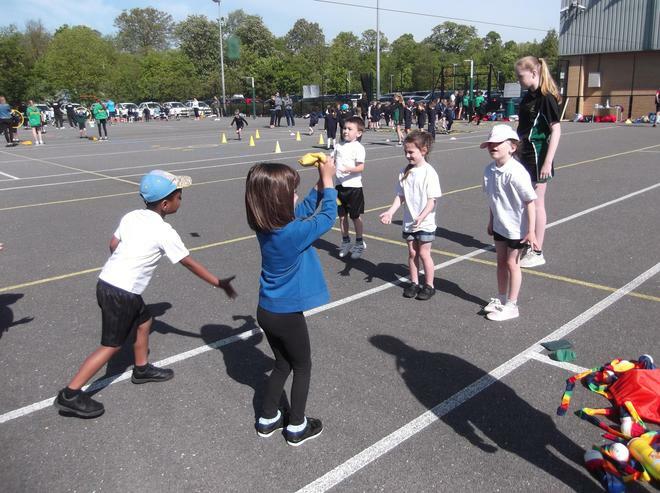 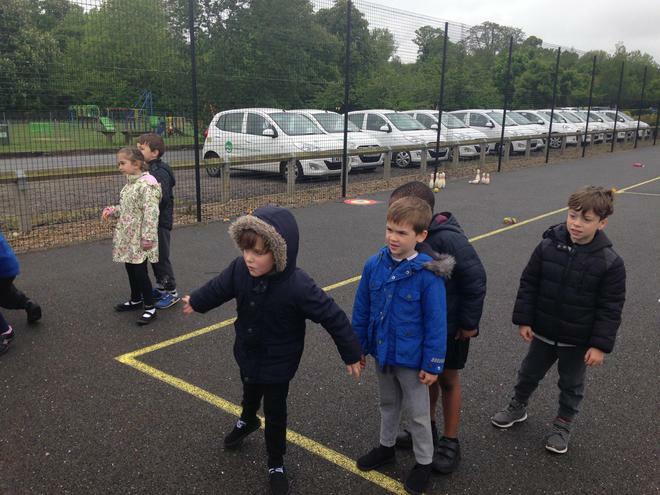 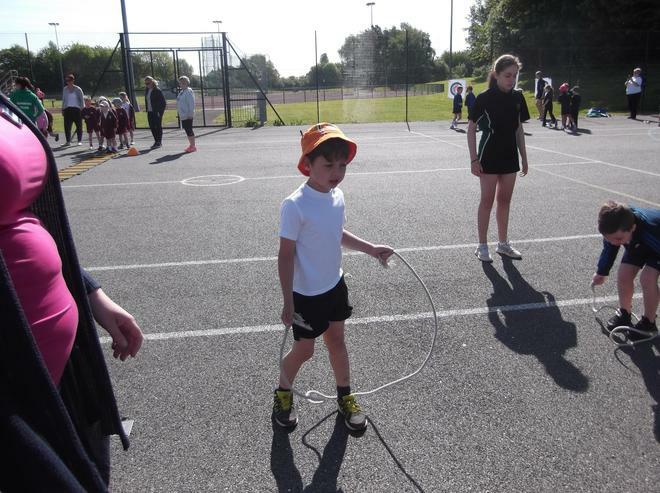 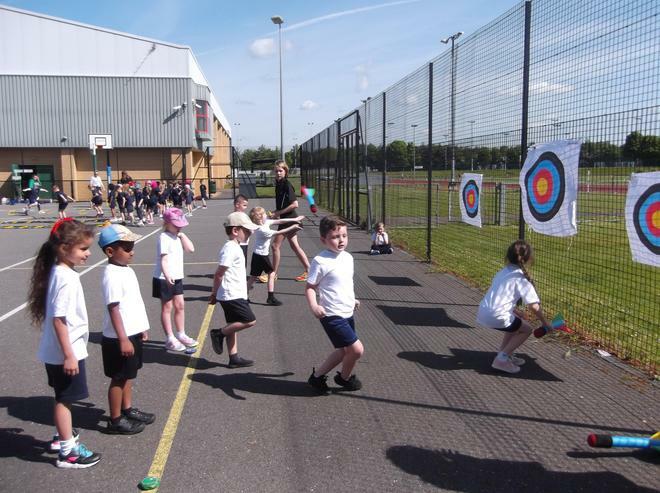 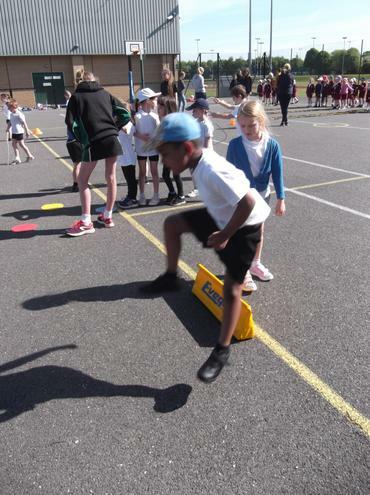 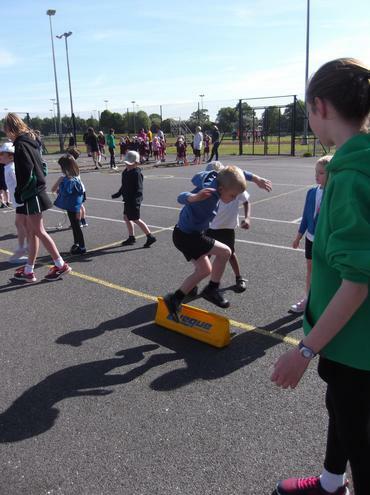 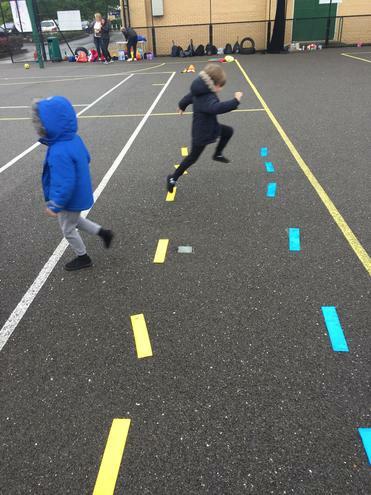 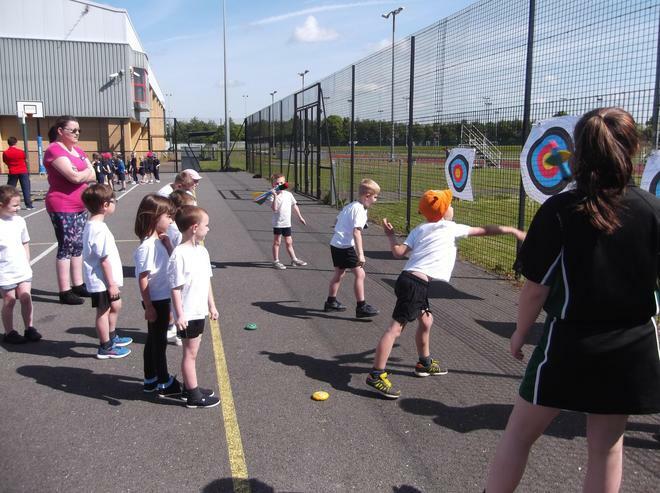 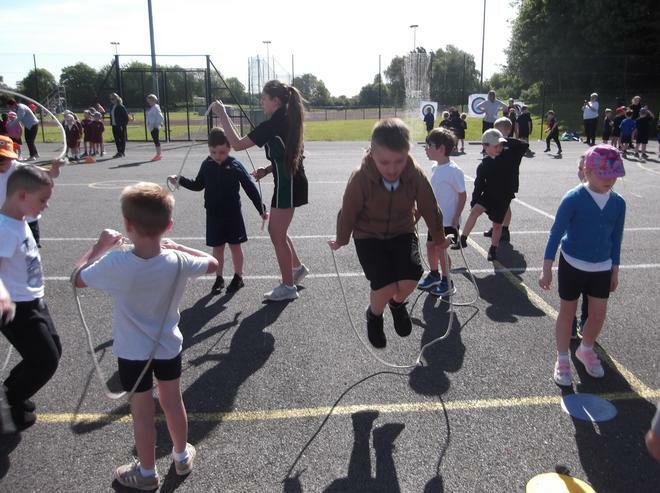 Year 1 were invited to take part in the Multi-skills festival at Wodson park run by Sports Leaders from a variety of Secondary schools. 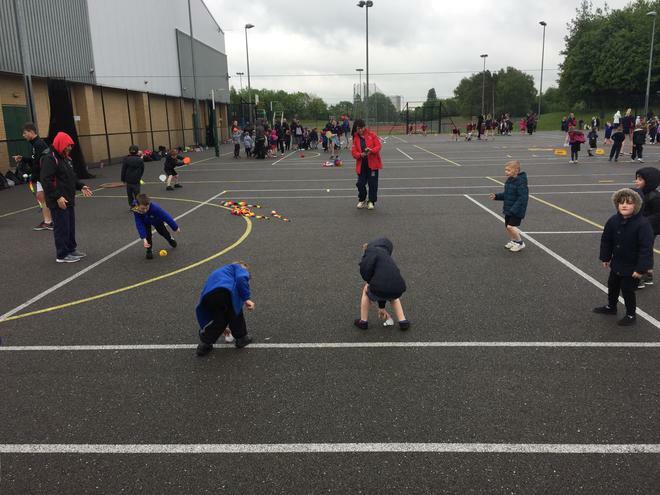 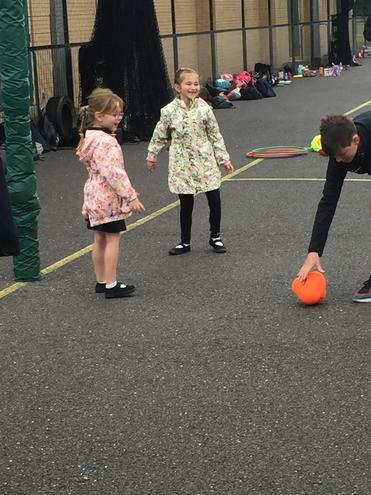 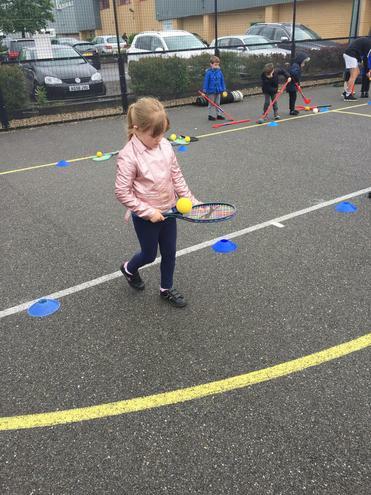 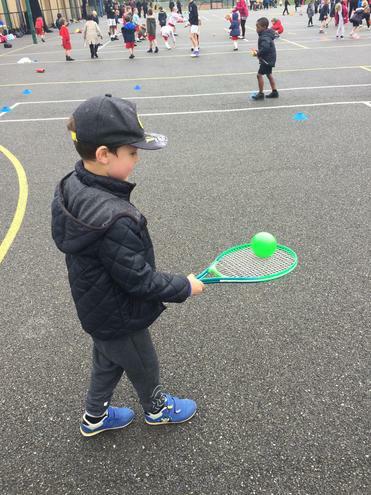 Despite the rain and drizzle the children loved the activities and had lots of fun! 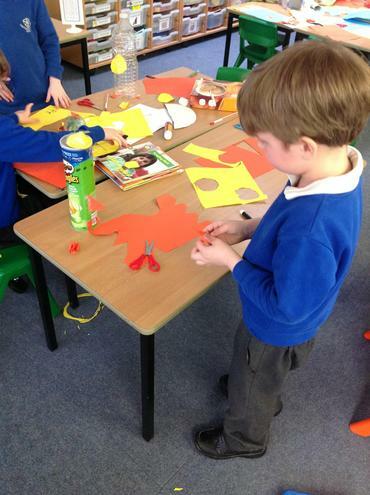 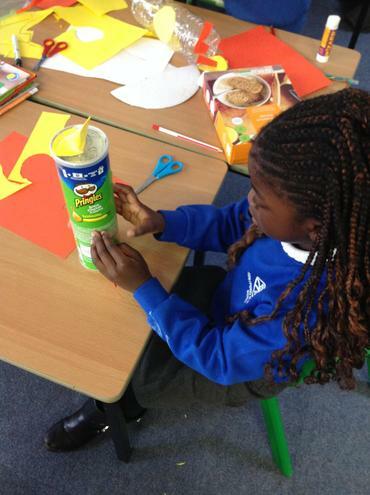 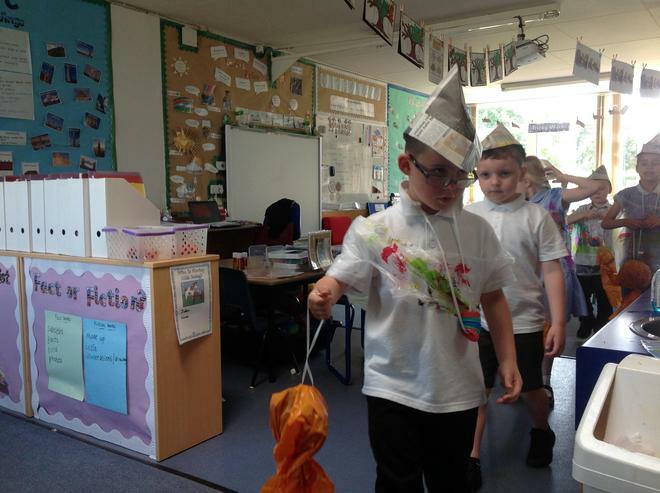 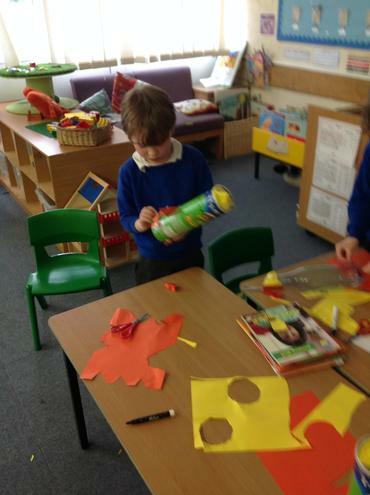 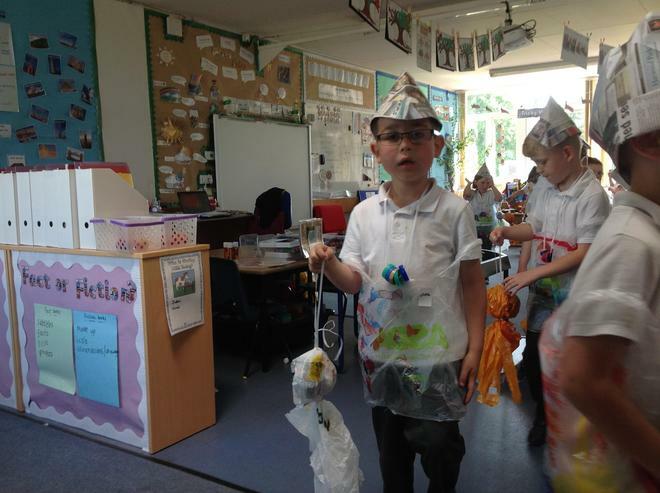 Year 1 have been taking part in Safer Internet Day by making E-safety penguins! 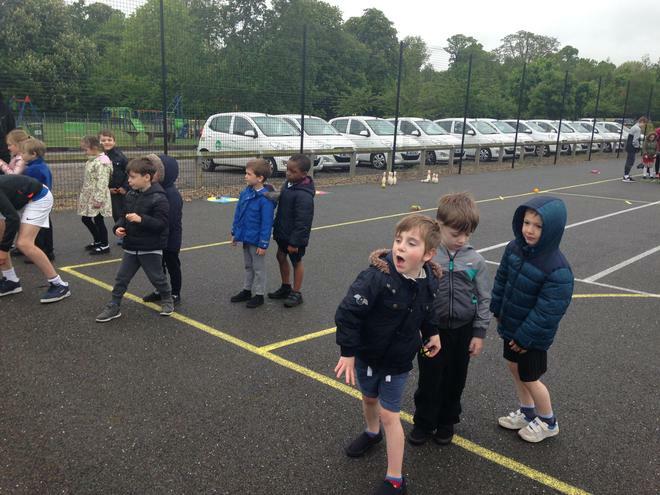 Year 1 take part in a relaxing yoga class every Thursday morning! 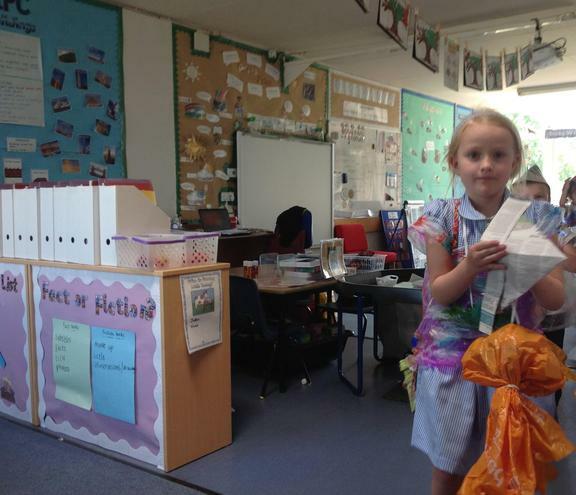 Our parents came to support us with our maths investigations. 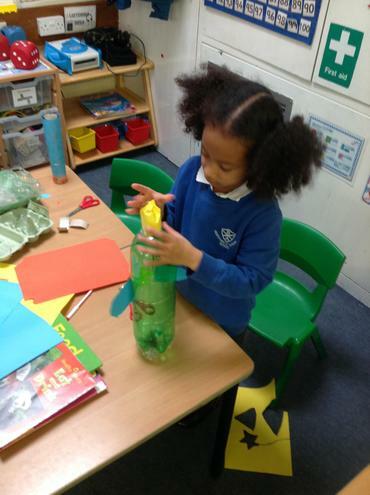 Today we have learnt to thread a needle!